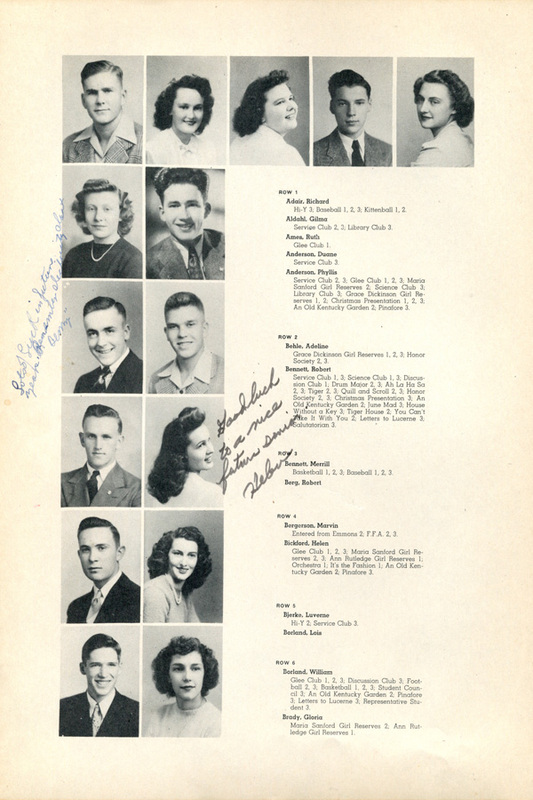 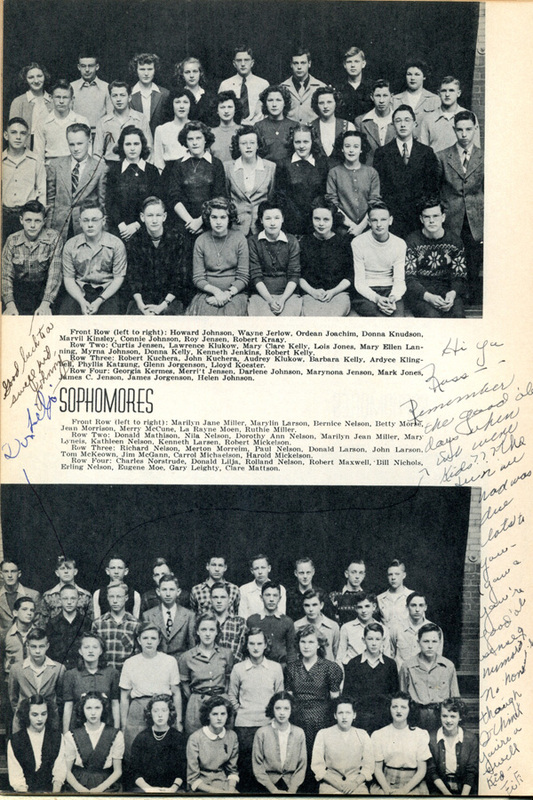 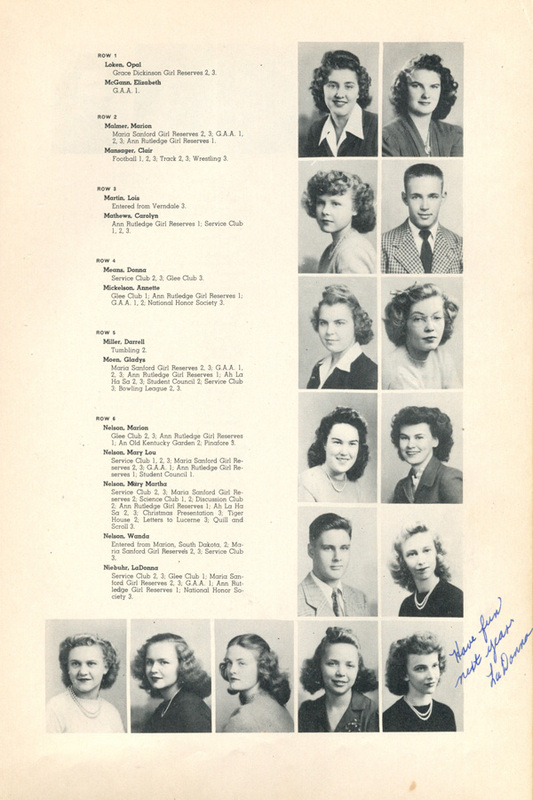 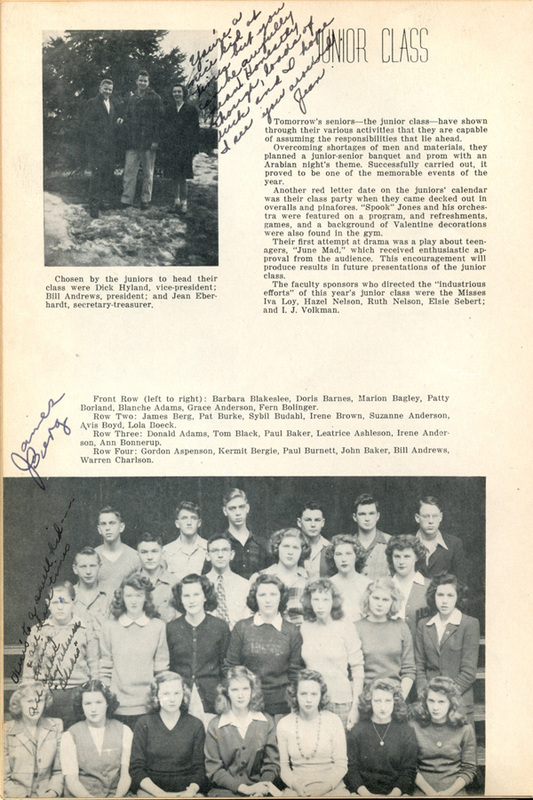 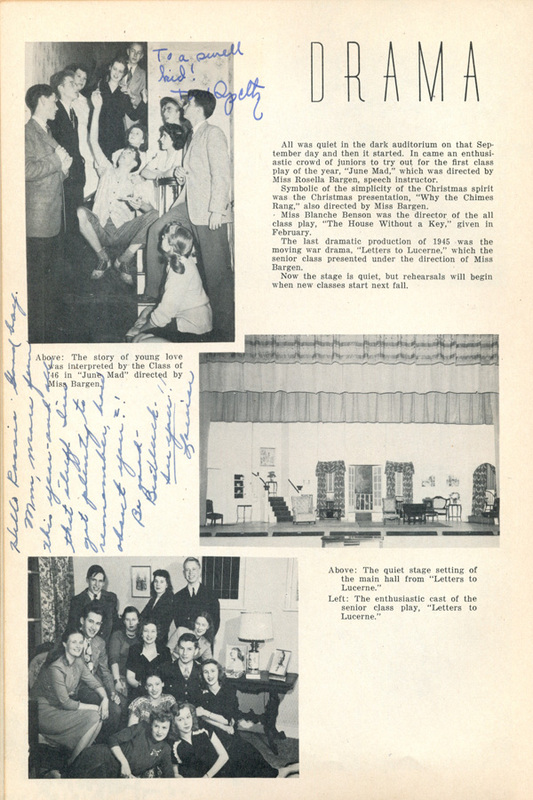 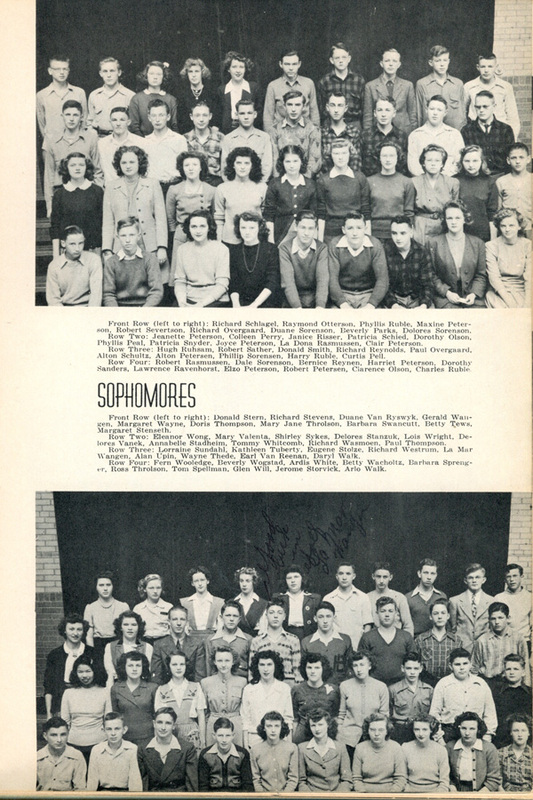 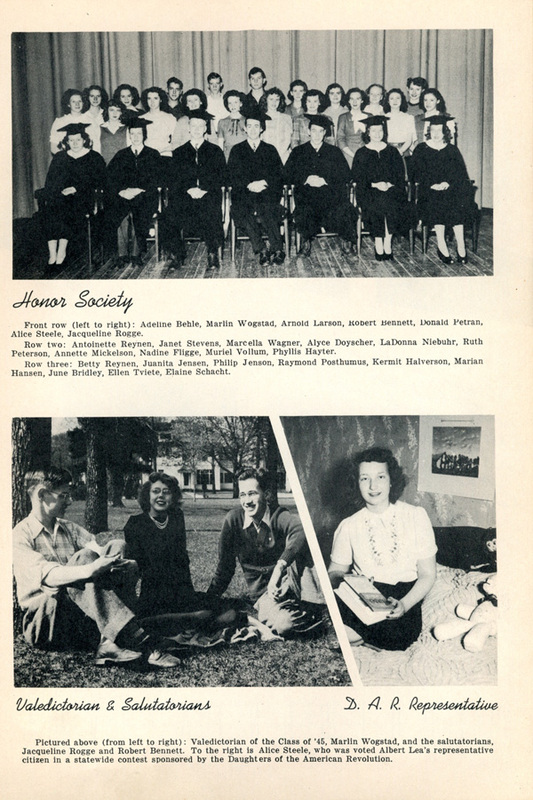 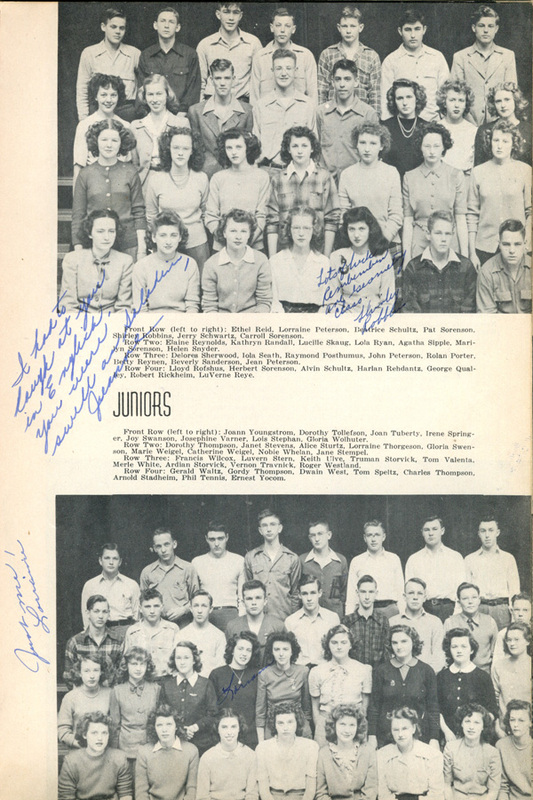 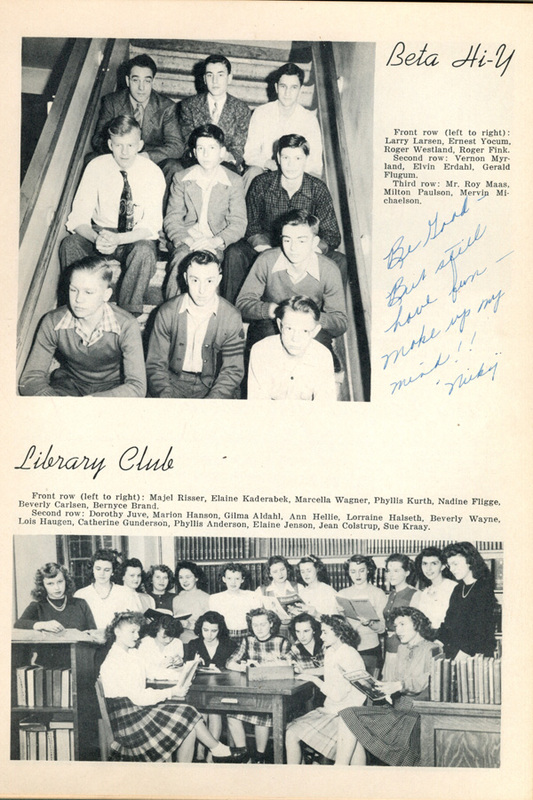 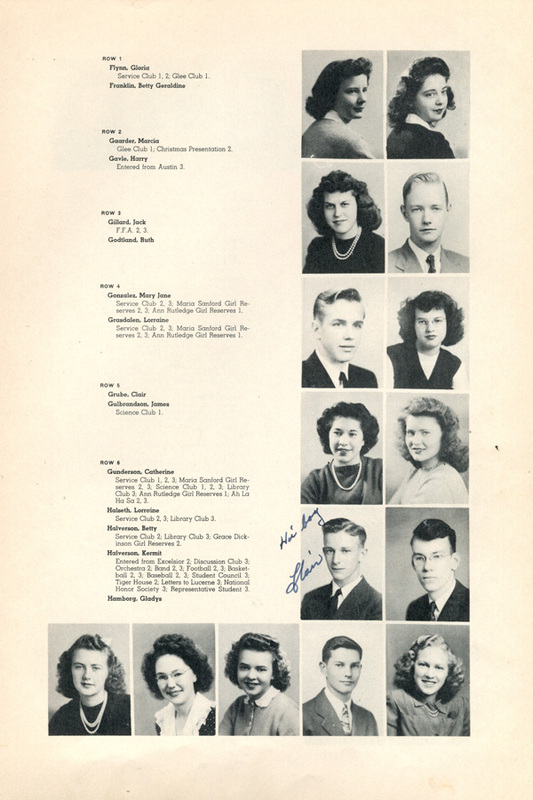 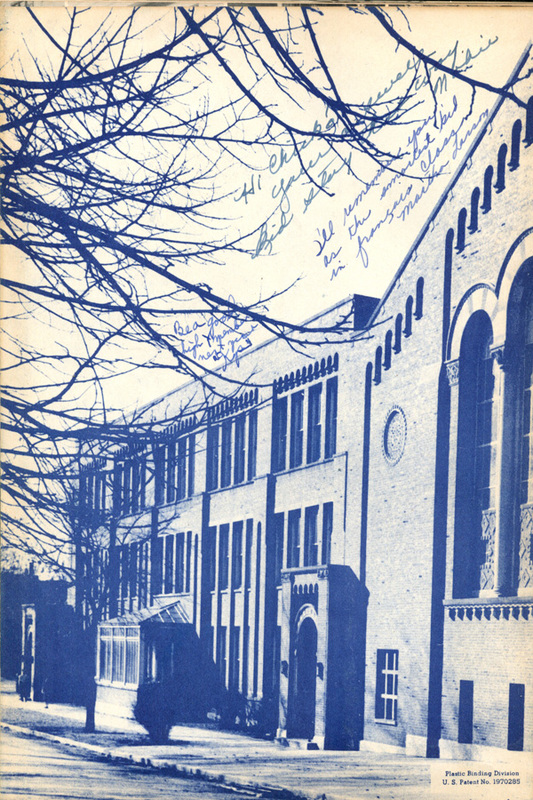 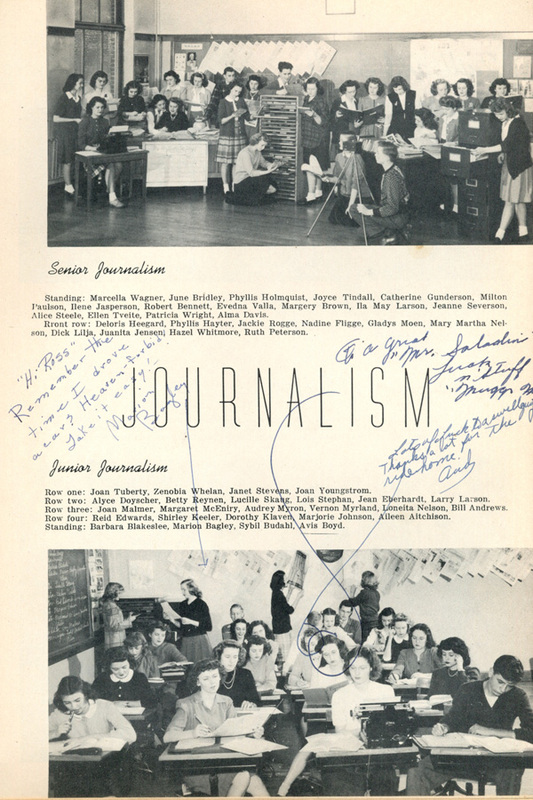 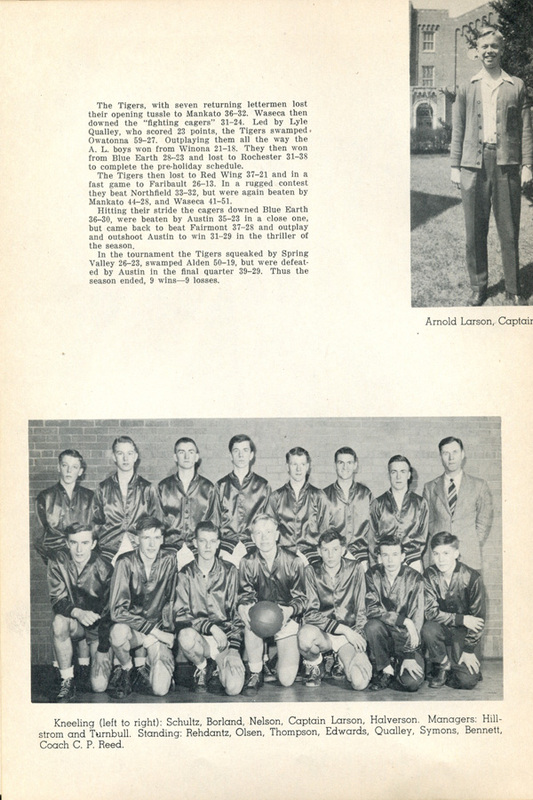 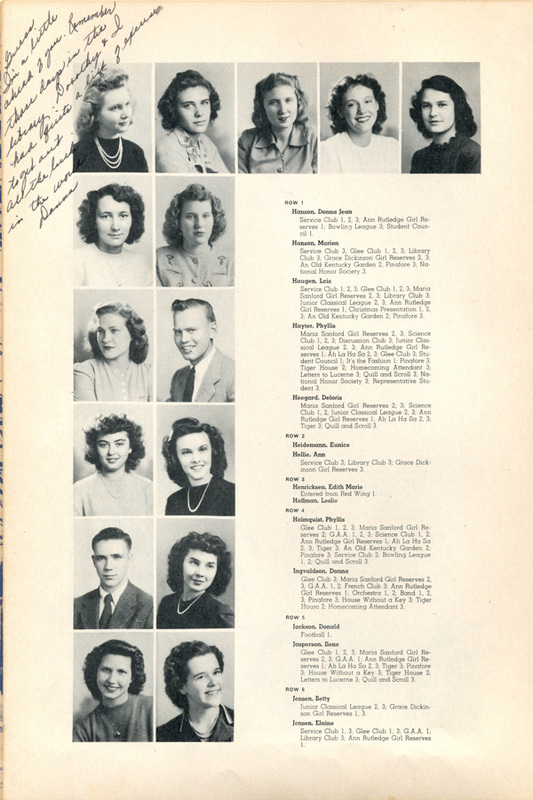 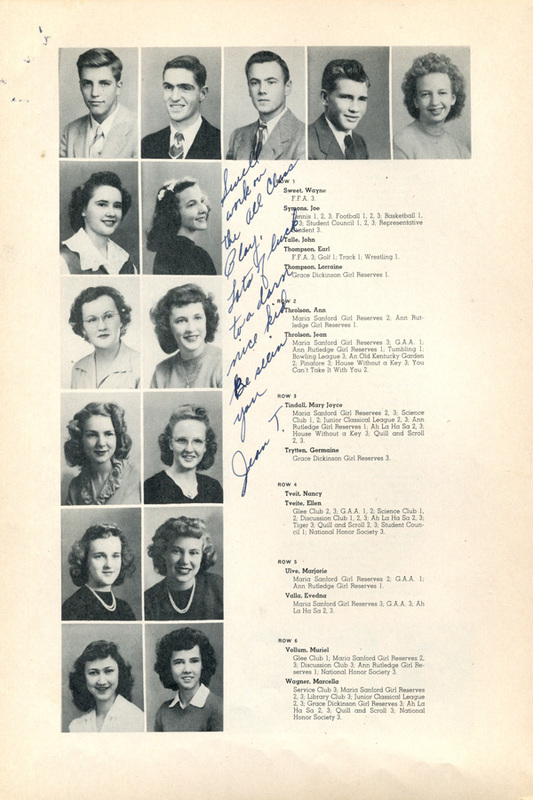 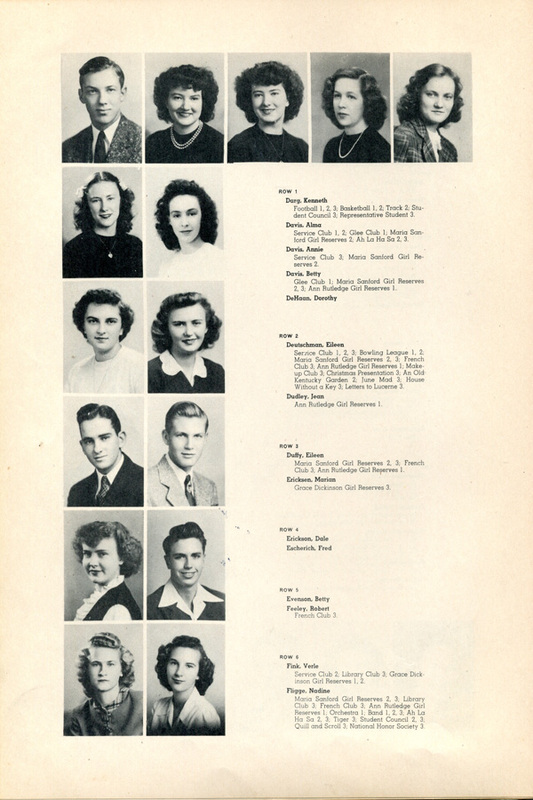 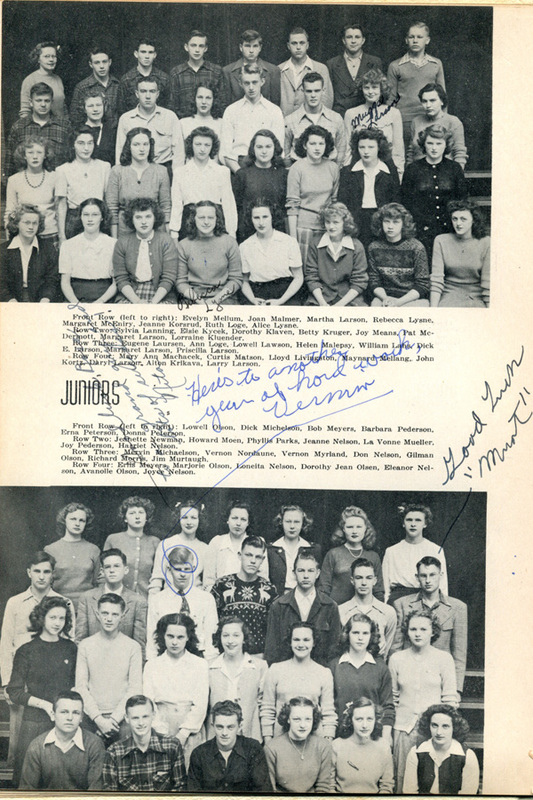 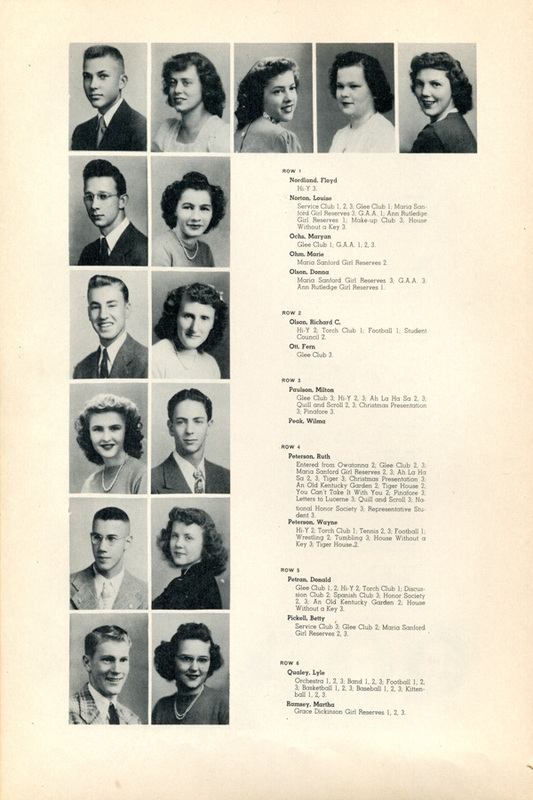 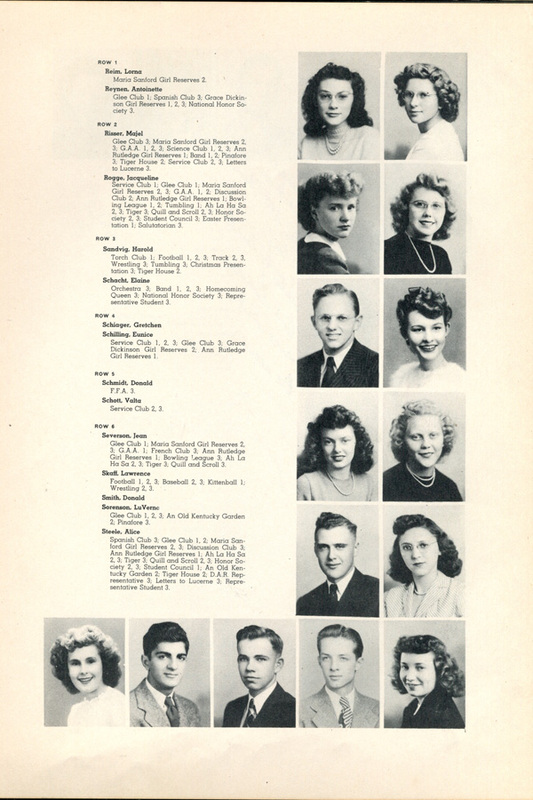 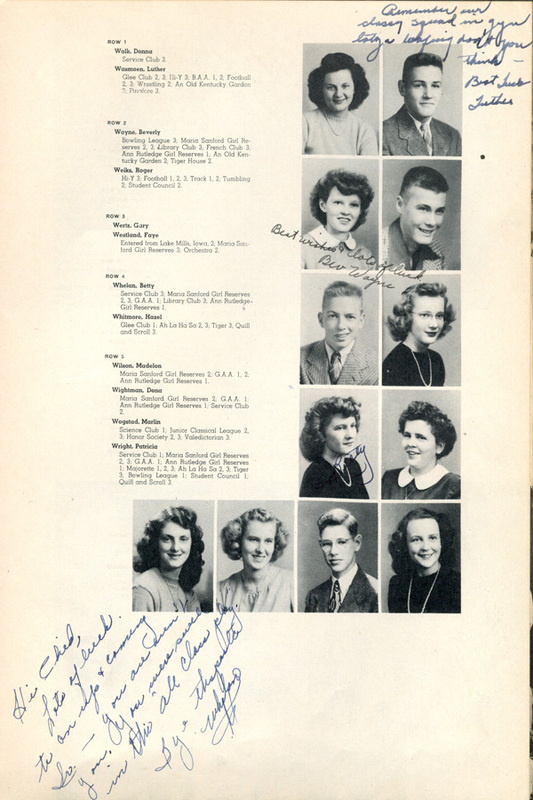 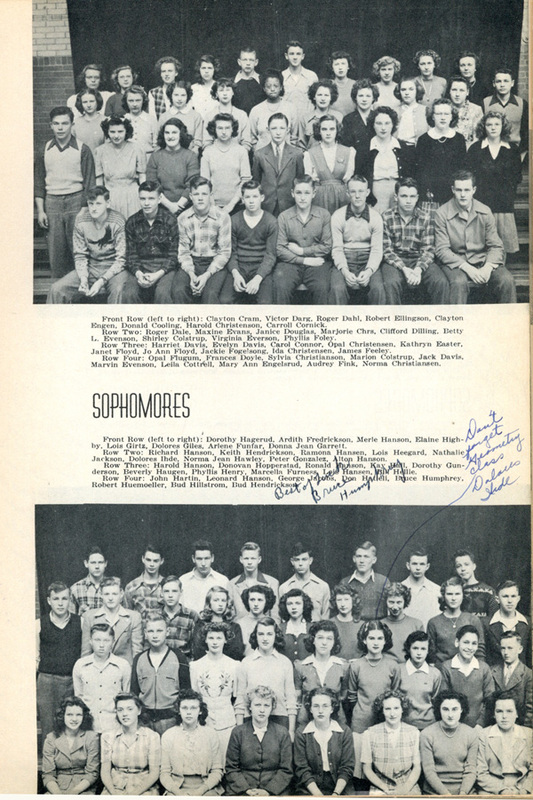 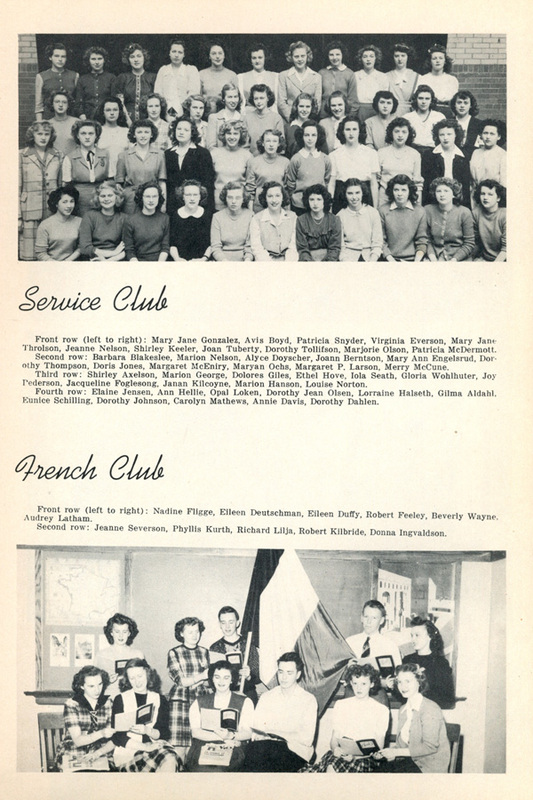 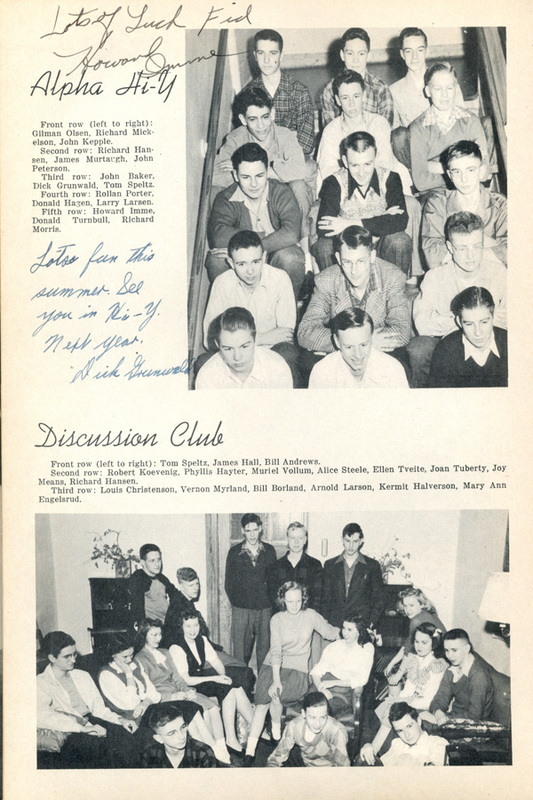 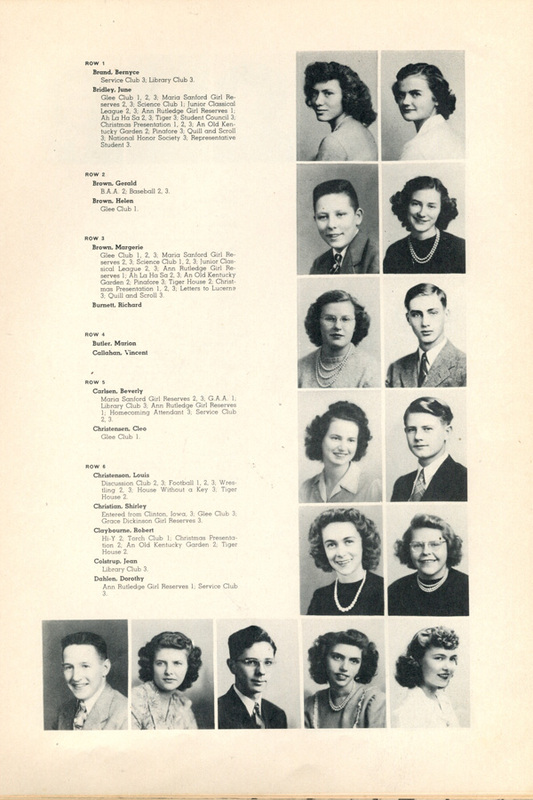 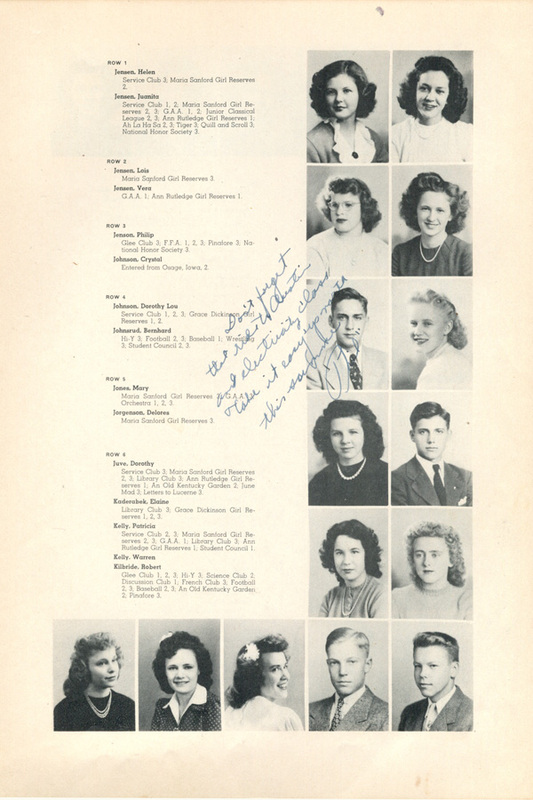 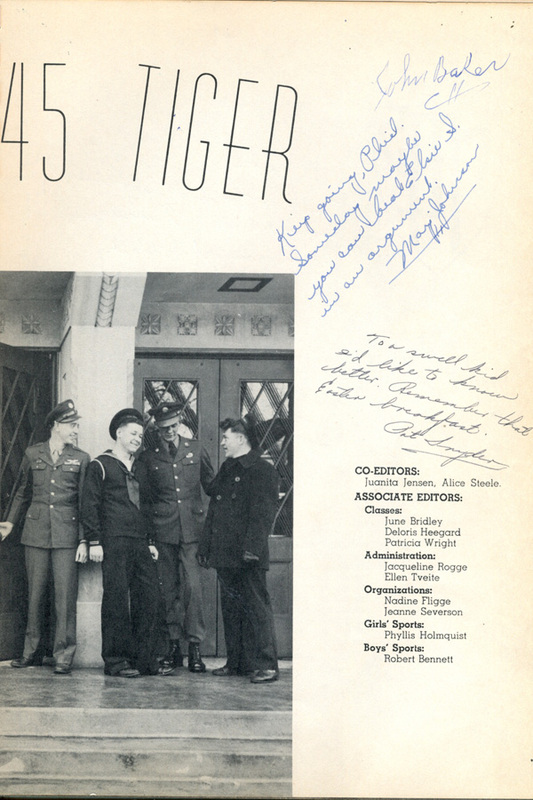 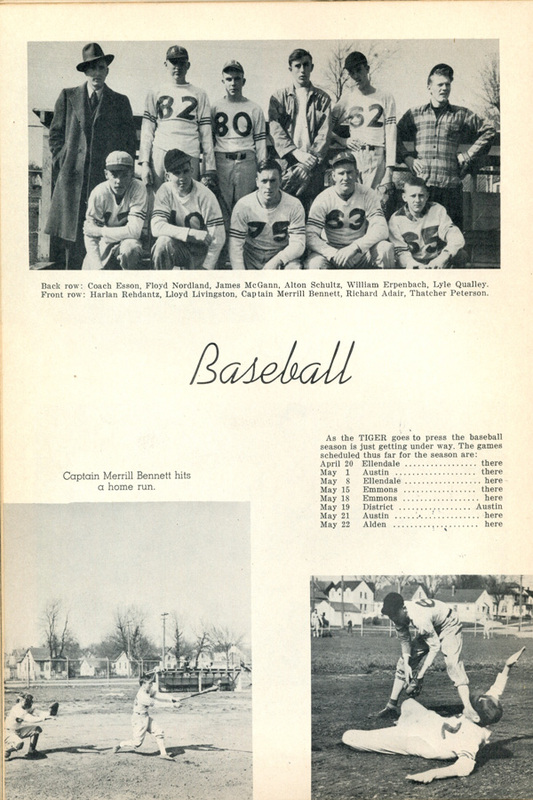 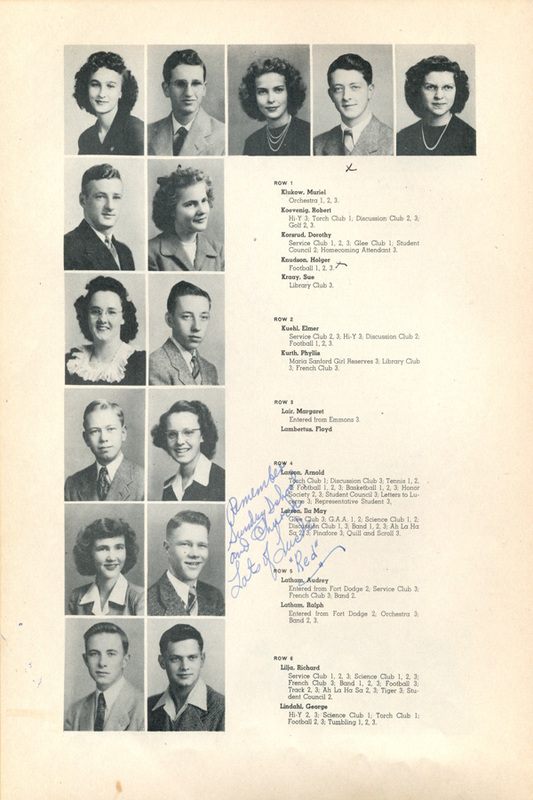 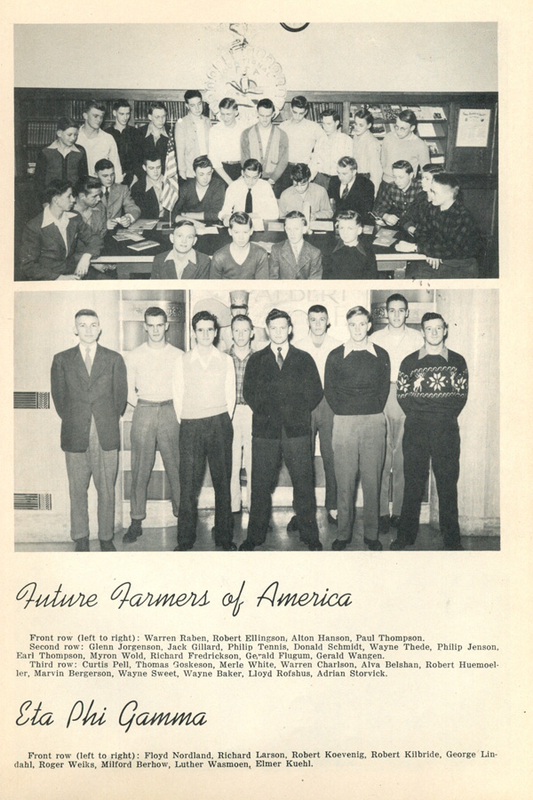 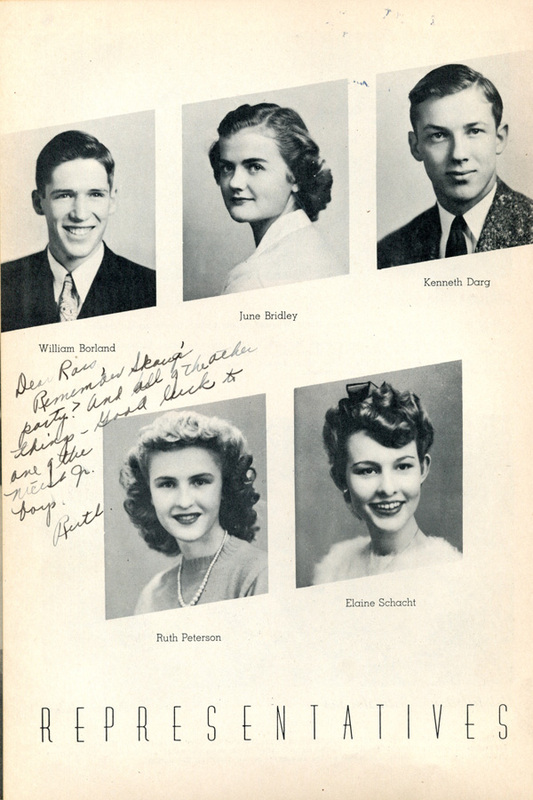 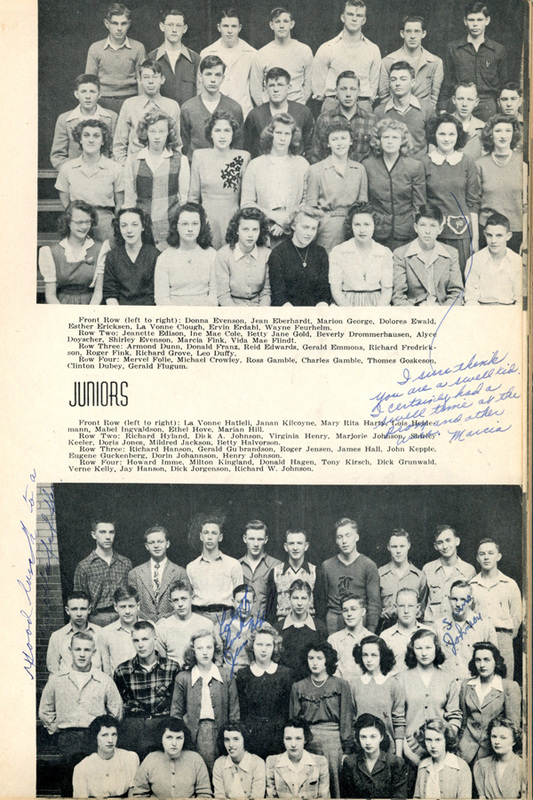 "Since September of '42 many of the boys who would have graduated with the Class of '45 have left school in order to preserve the four freedoms. 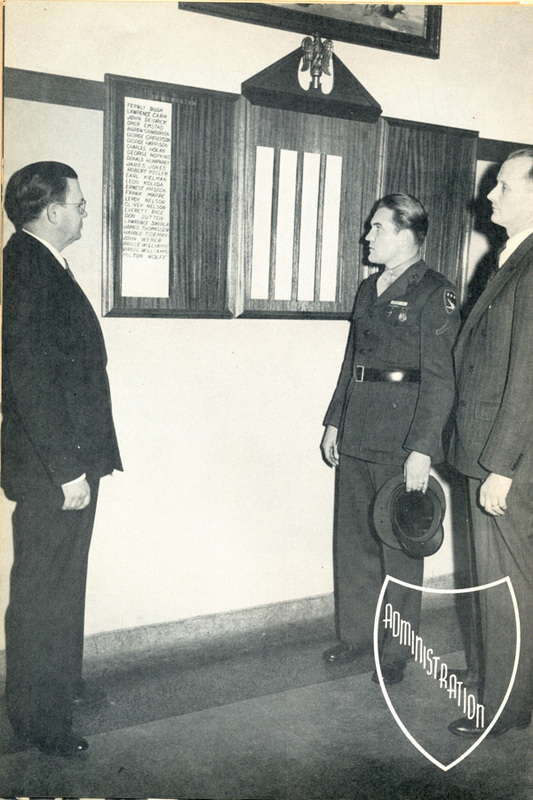 As the dawn of victory approaches we honor in solemn tribute those ware heroes who will not return home. 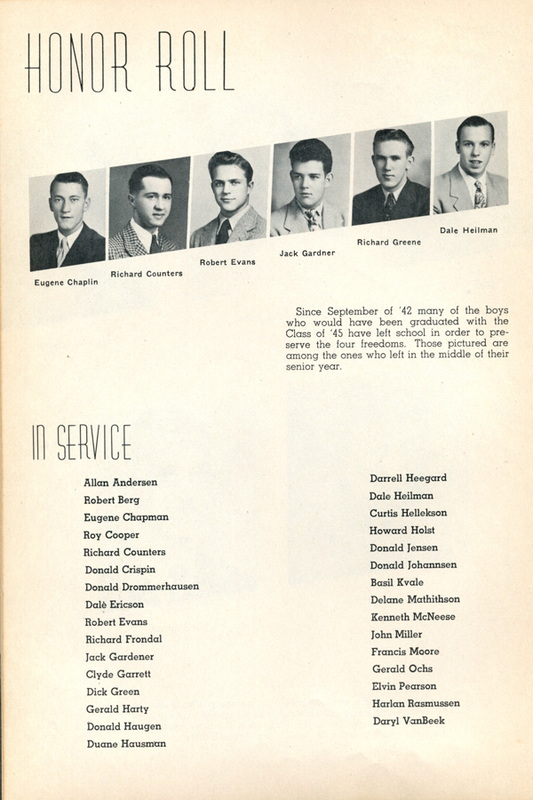 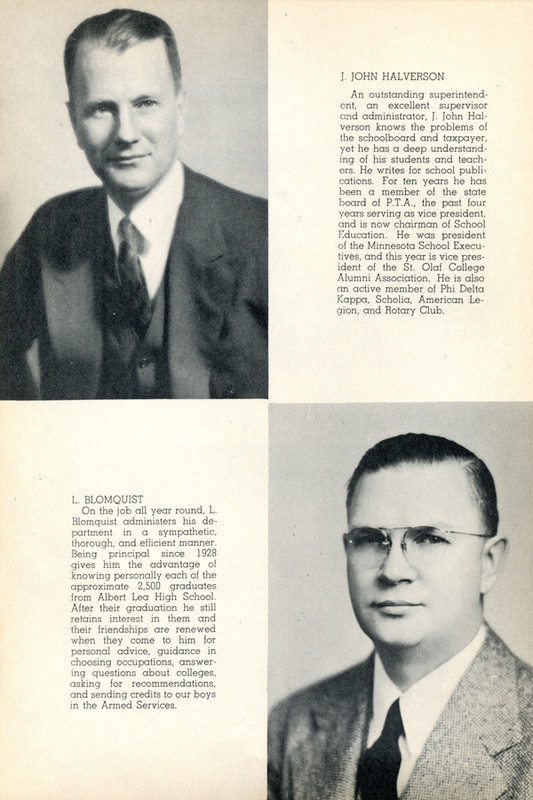 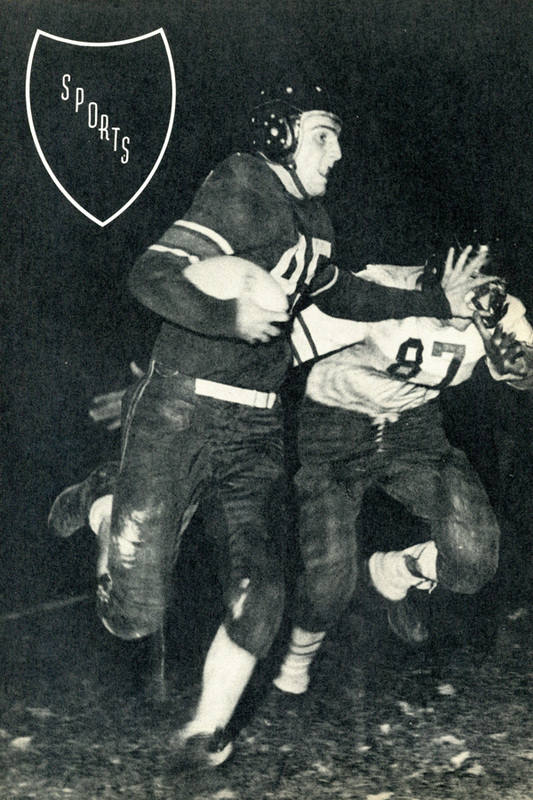 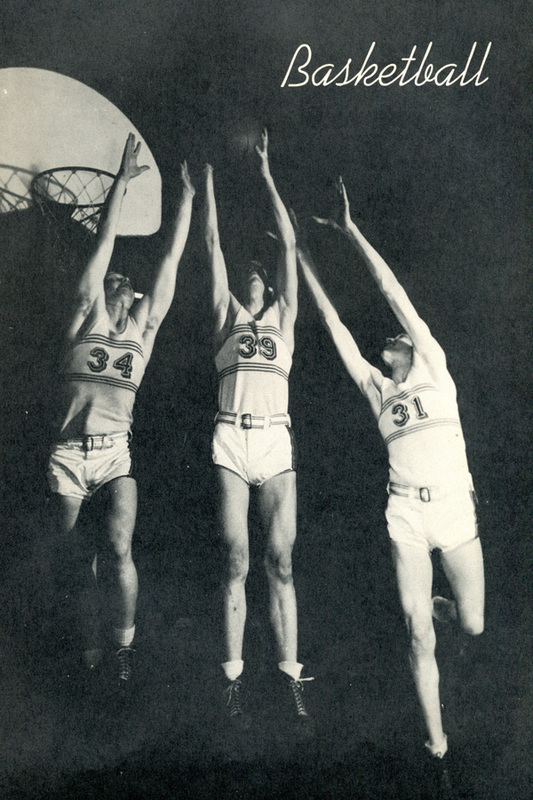 From the graduating classes of Albert Lea thirty-two boys have given their lives." 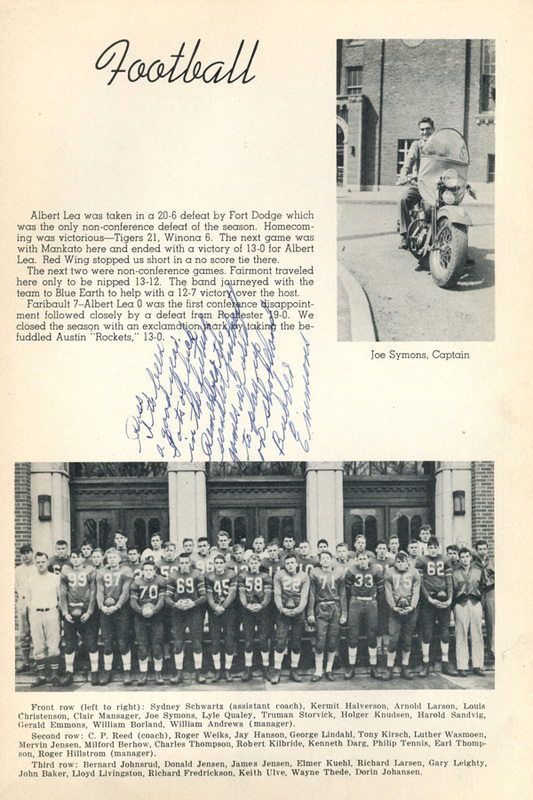 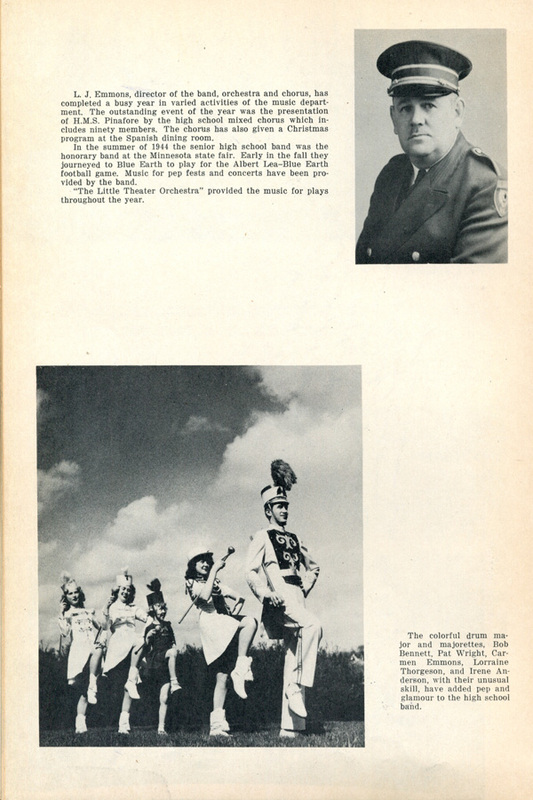 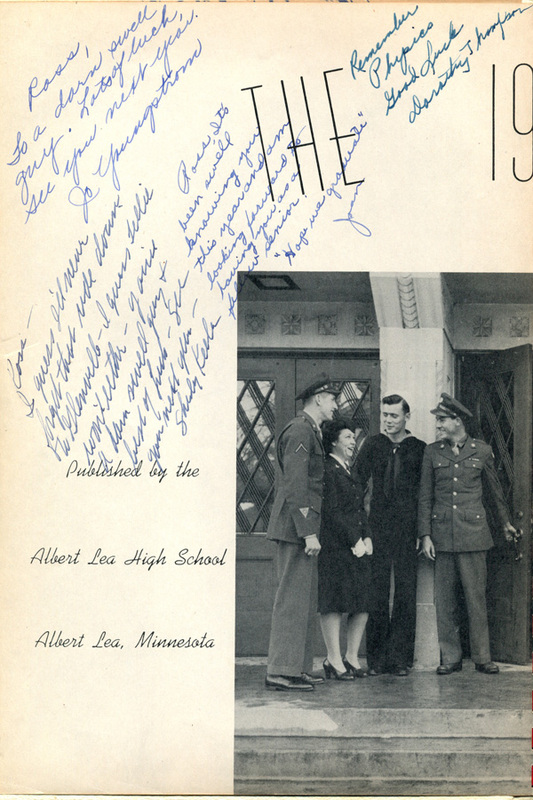 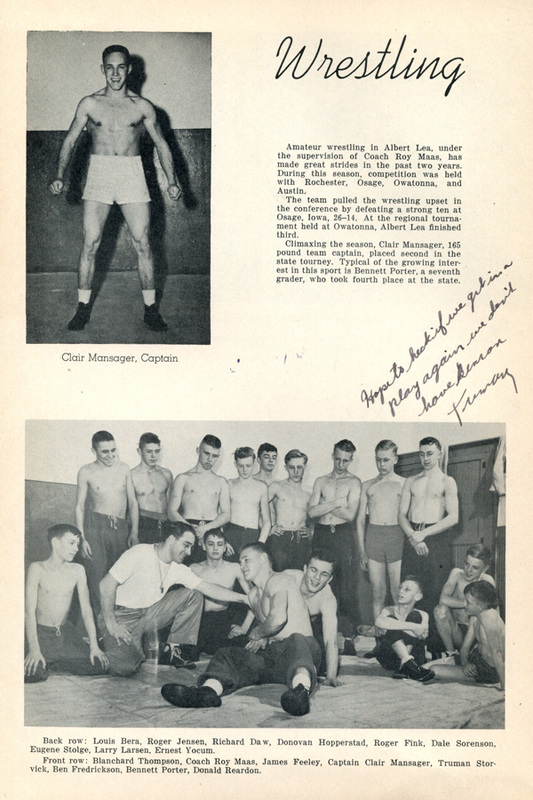 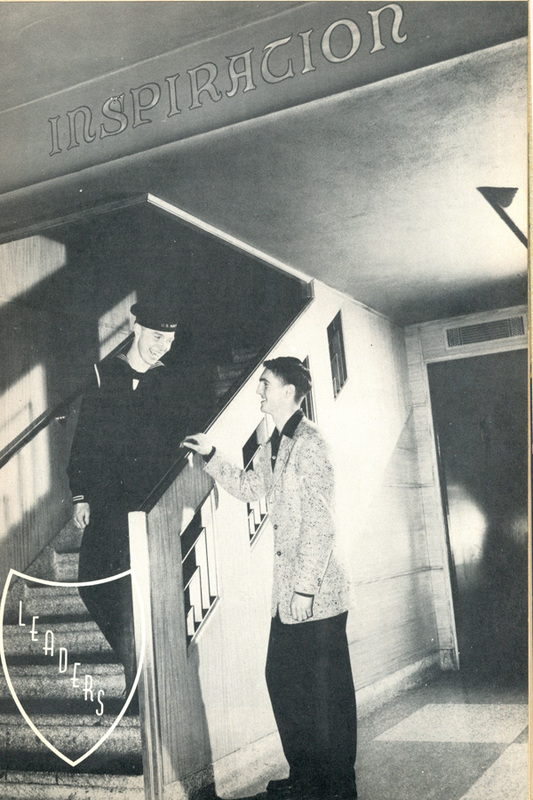 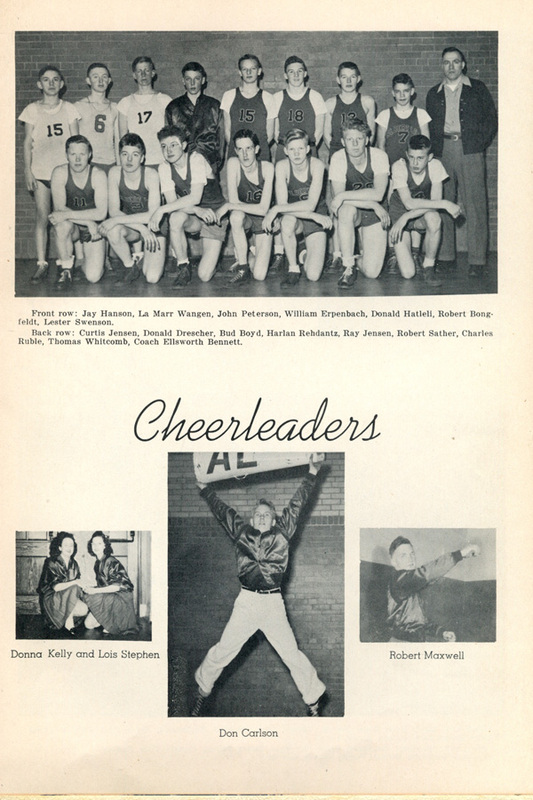 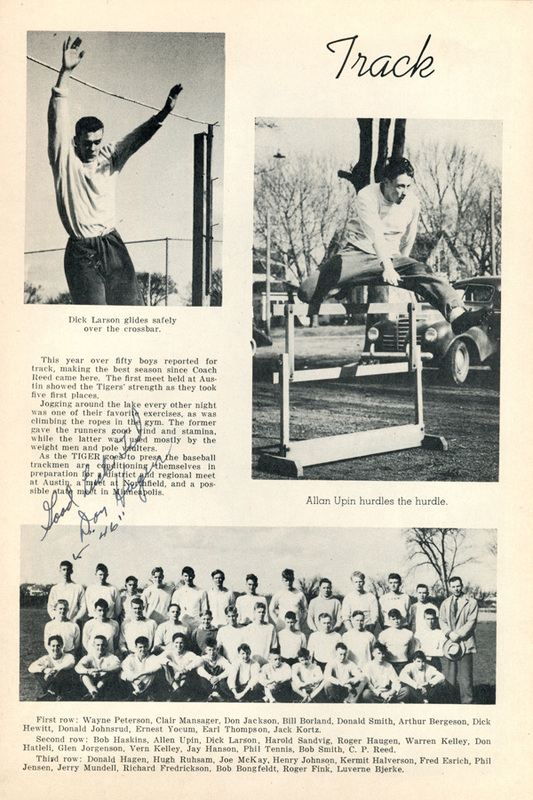 Albert Lea was a small town during World War II, with a population of just over 12,000 people, and truly felt the effects of so many young men and women leaving to enter the military or seek employment in industrial cities. 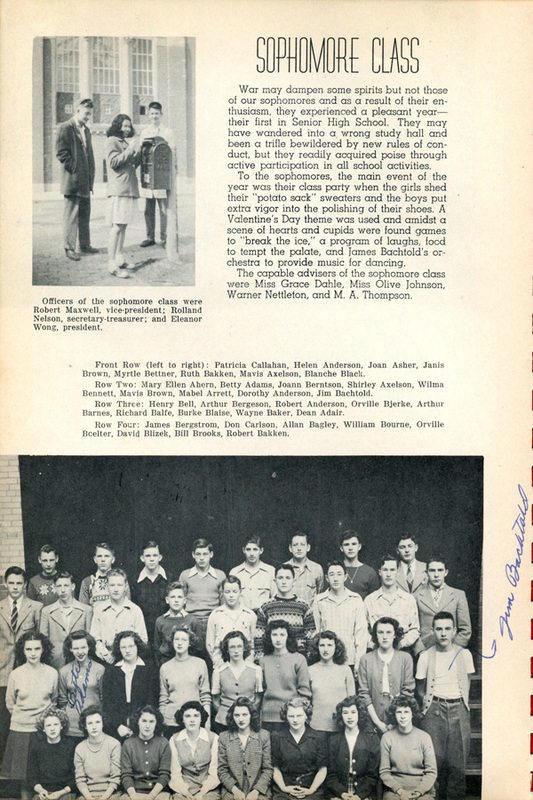 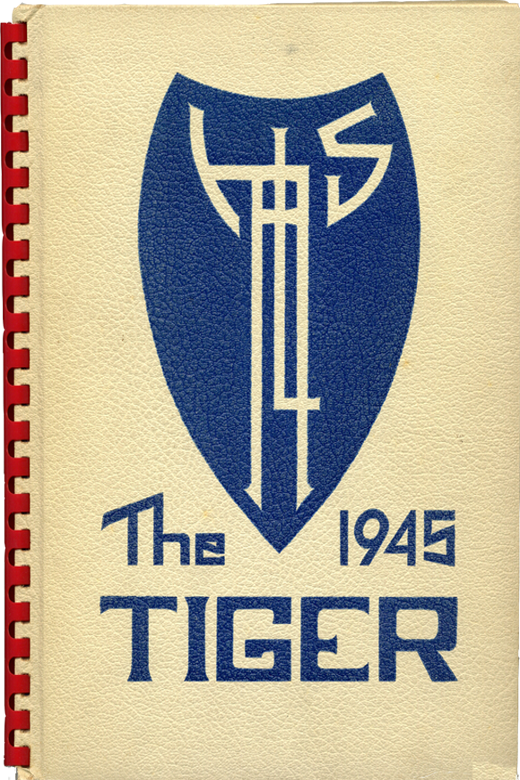 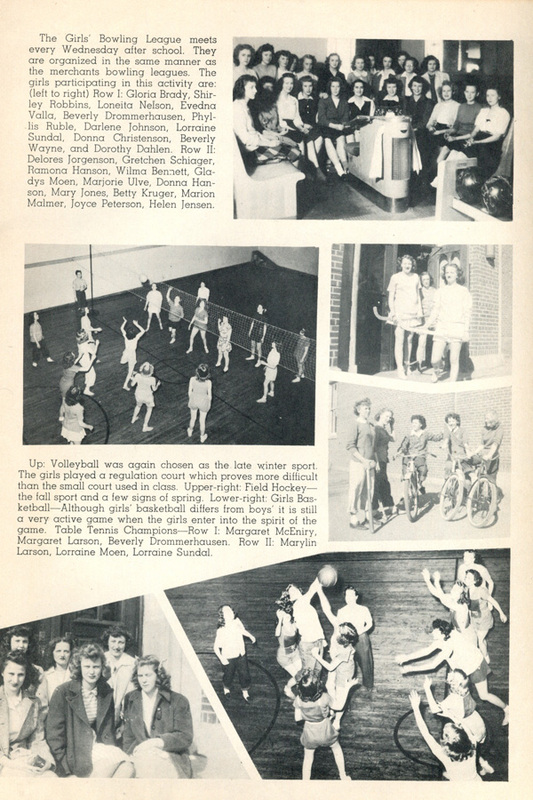 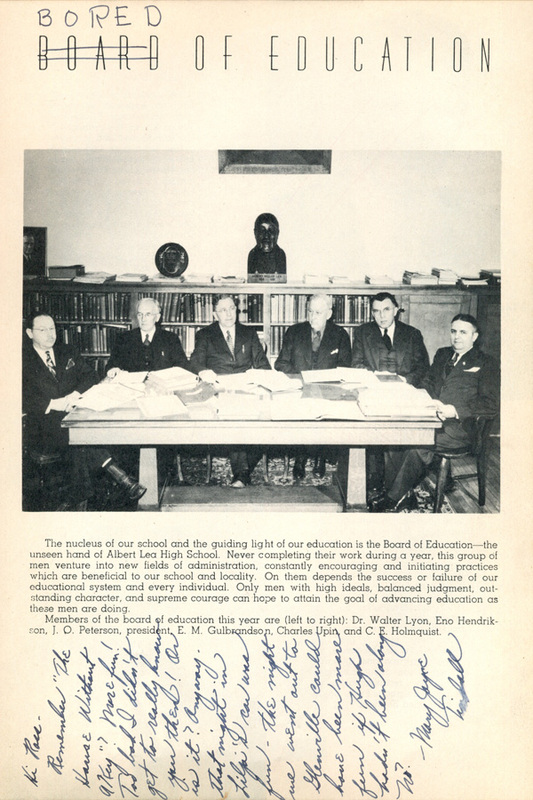 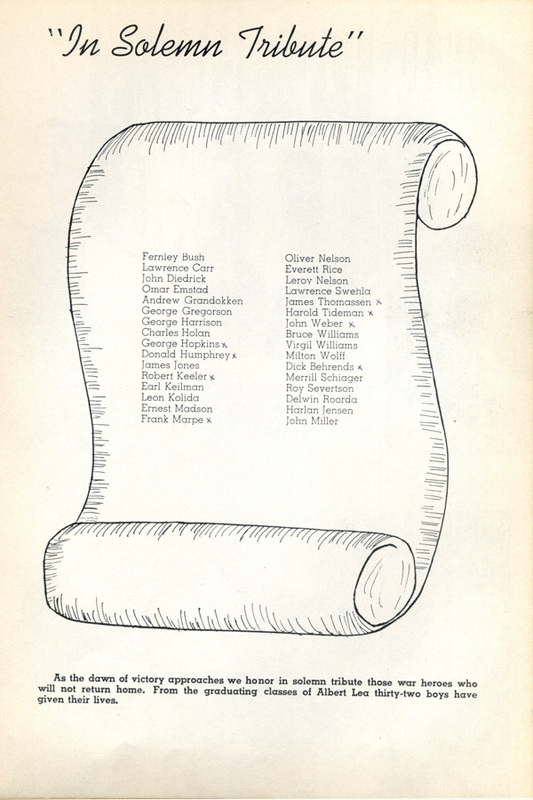 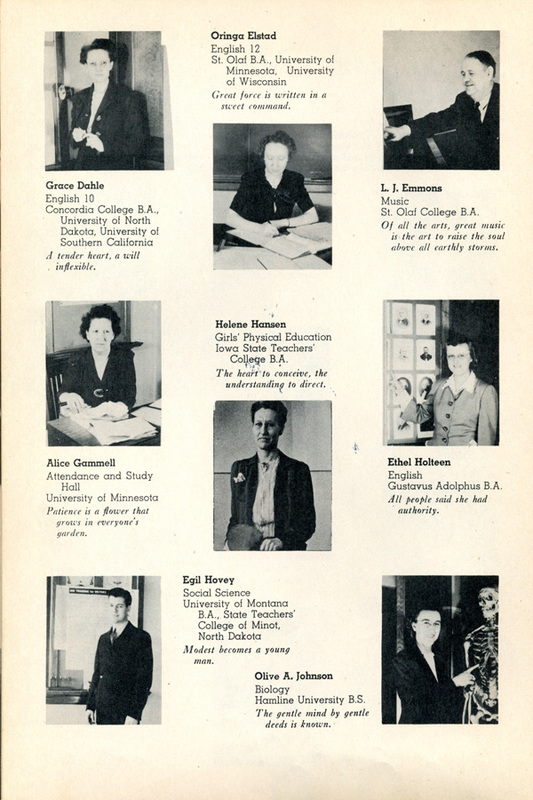 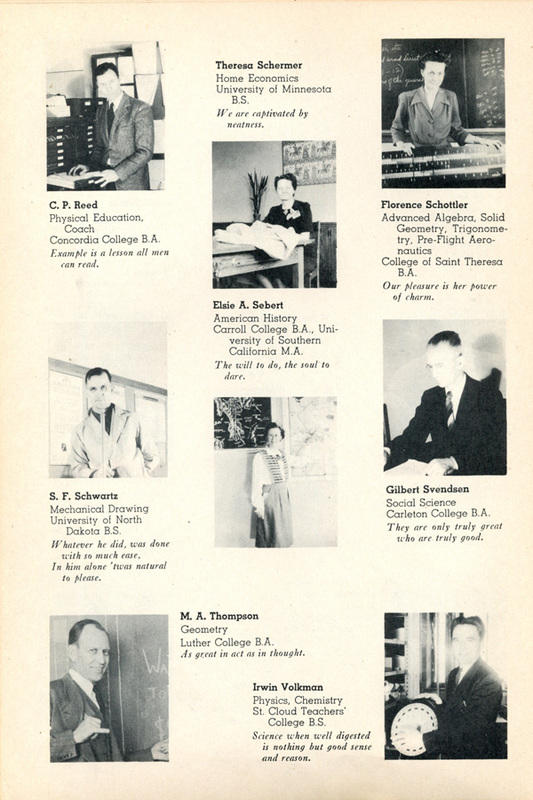 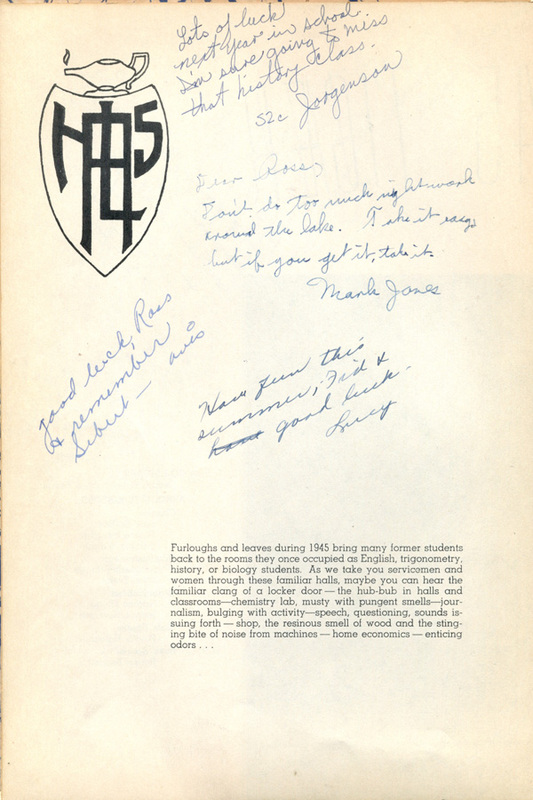 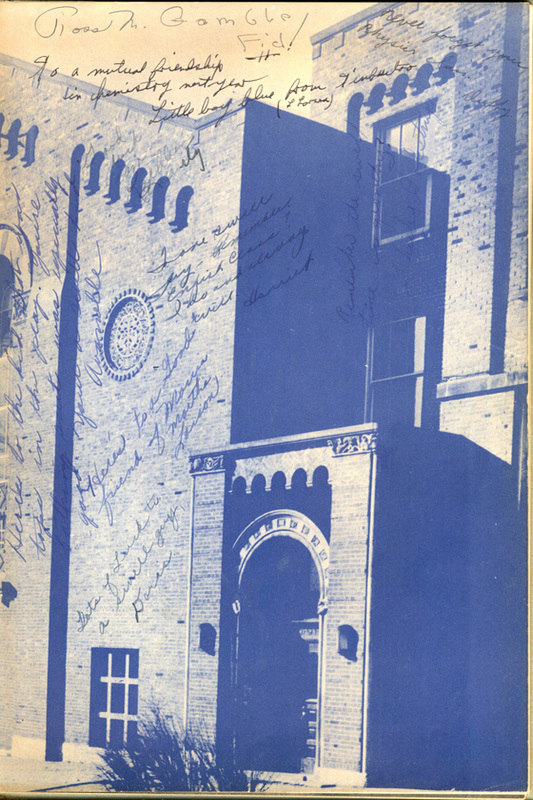 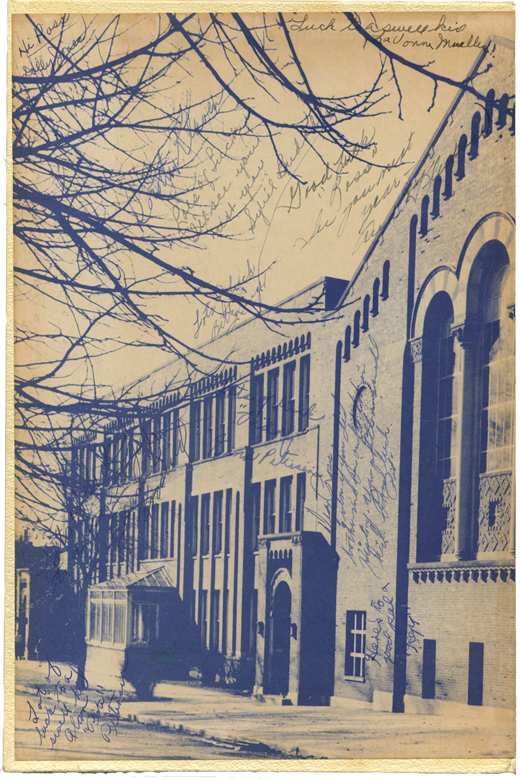 Many of the boys left school mid-year 'in order to preserve the four freedoms.' 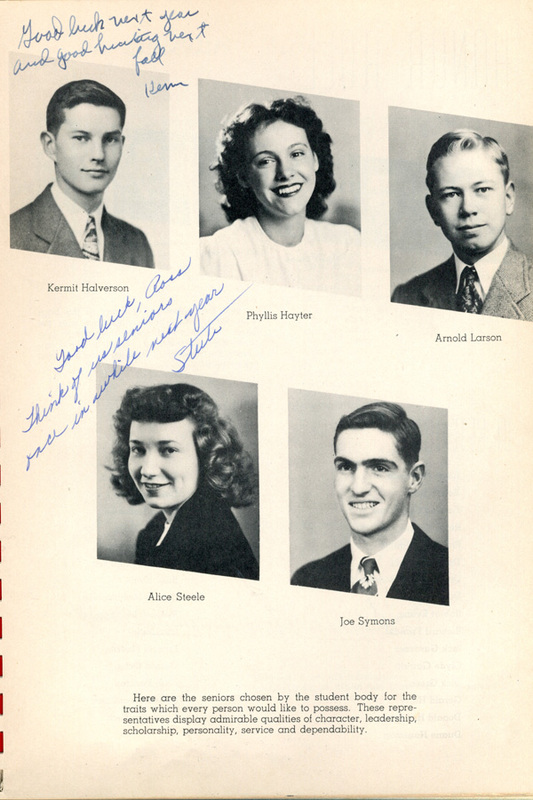 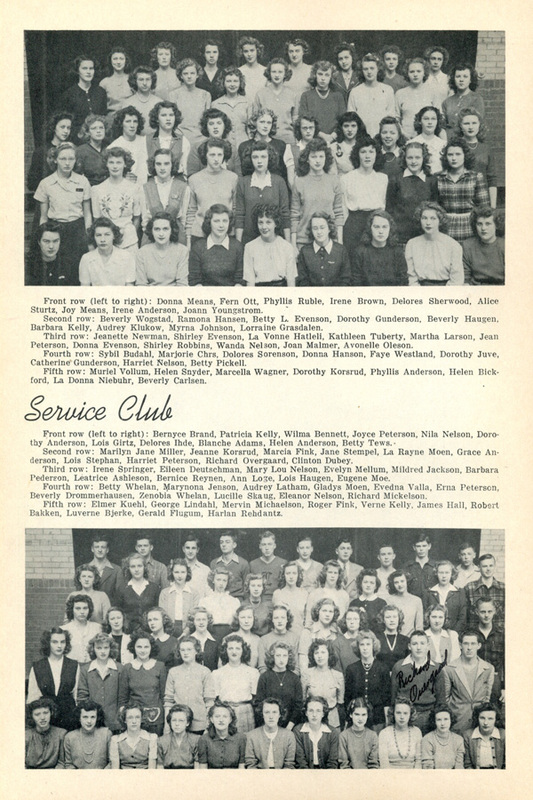 By the end of the 1945 schoolyear, more than 30 Albert Lea High School alumni were killed in action, with many more like Museum volunteer Ross Gamble still set to enter the Armed Forces. 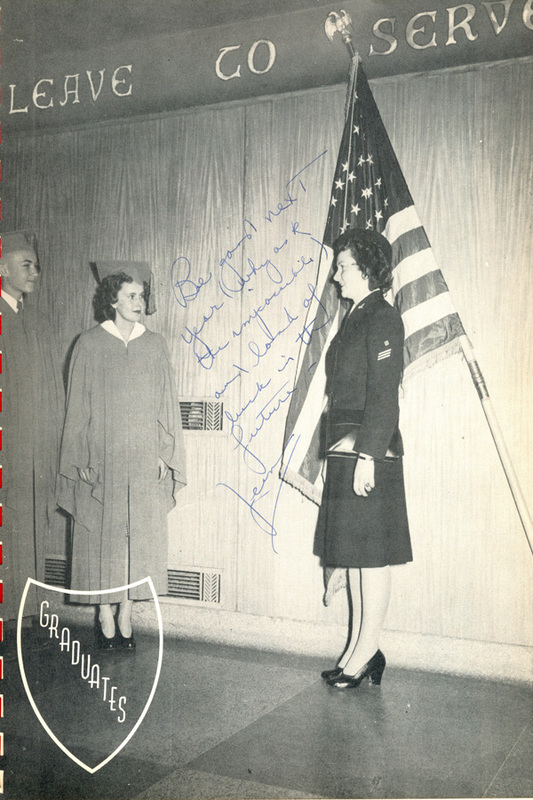 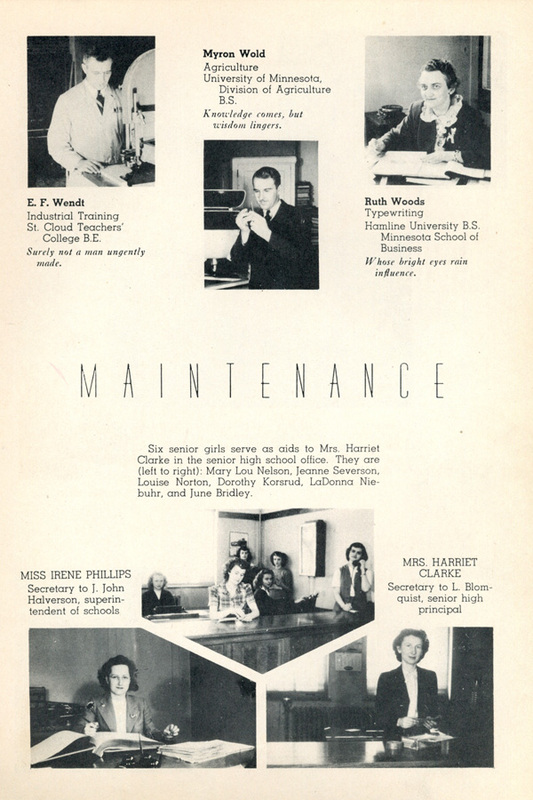 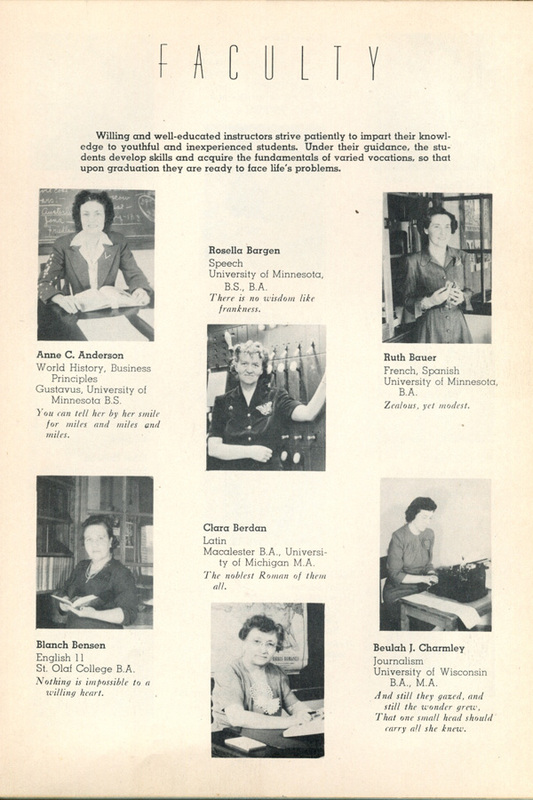 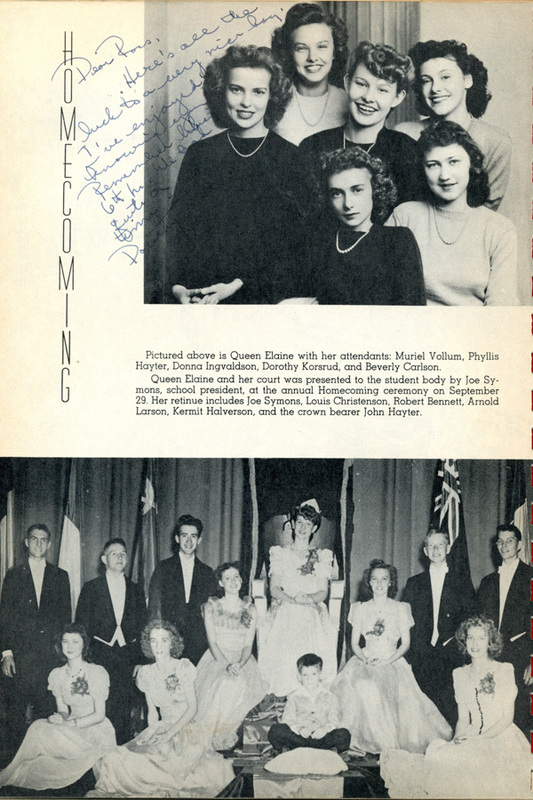 In addition to the personal losses, the same Home Front issues impacted the students daily; 'rationing makes the food problem difficult,' says the caption next to her portrait, 'but [cafeteria chef] Mrs. Mable R. Crynes continues serving nutritous and inexpensive meals.' 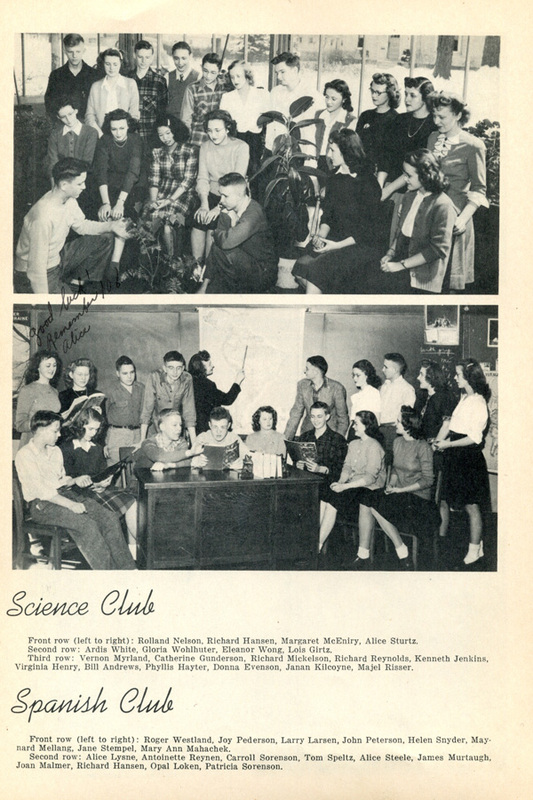 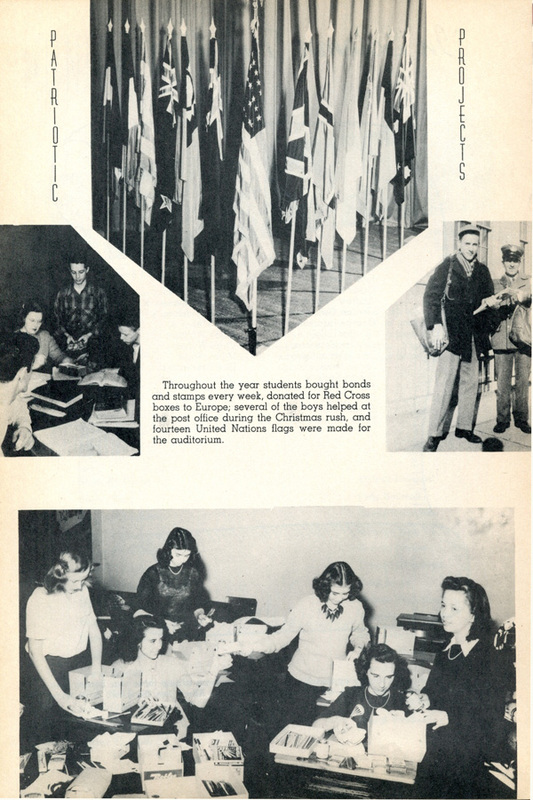 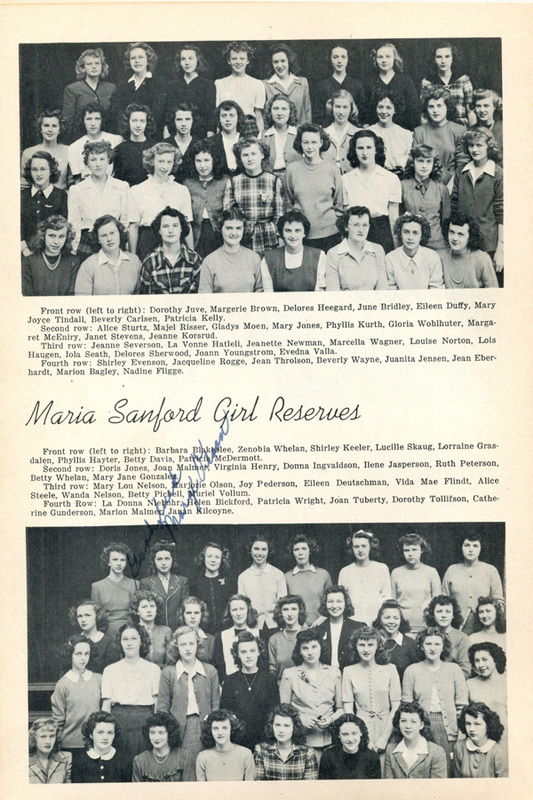 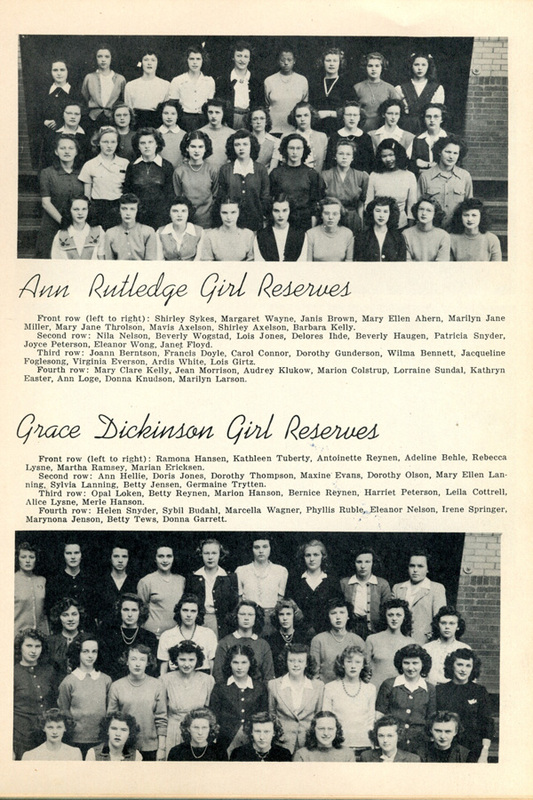 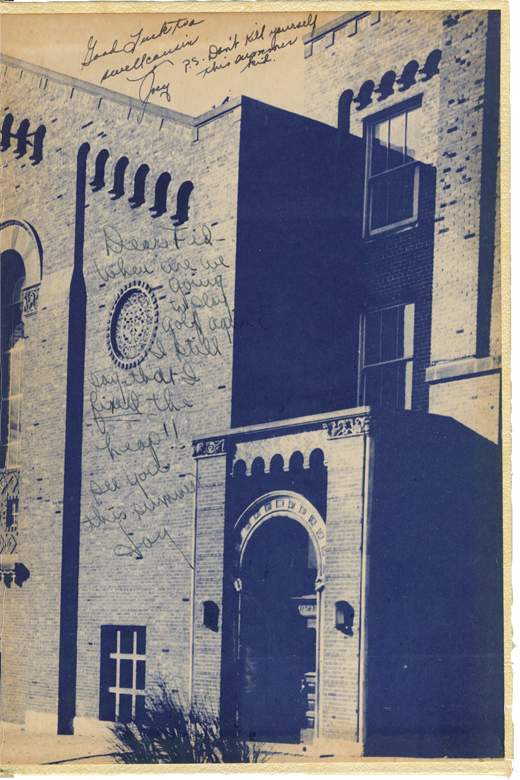 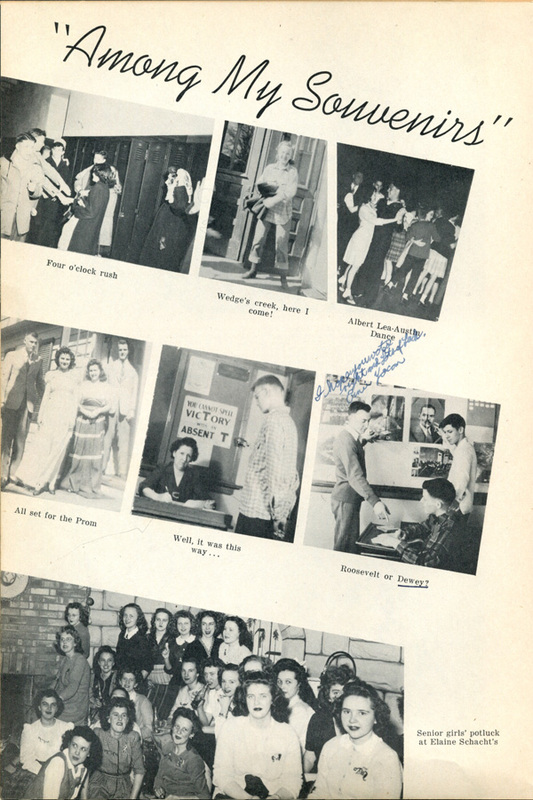 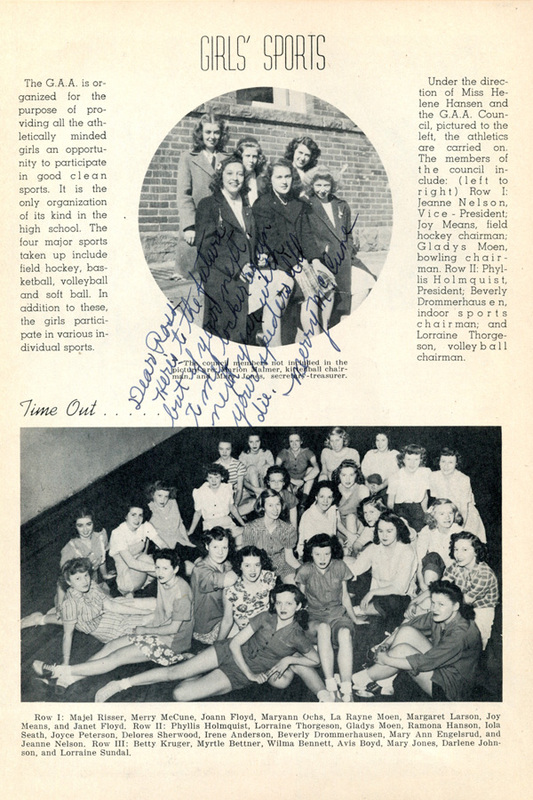 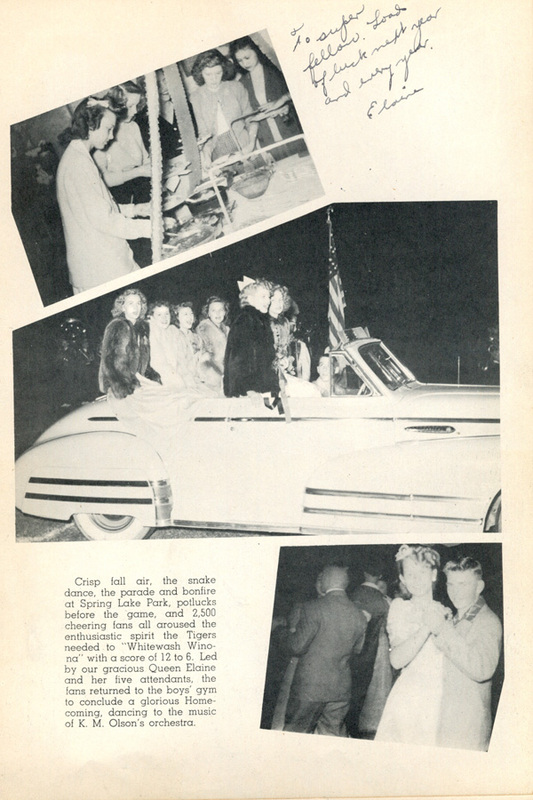 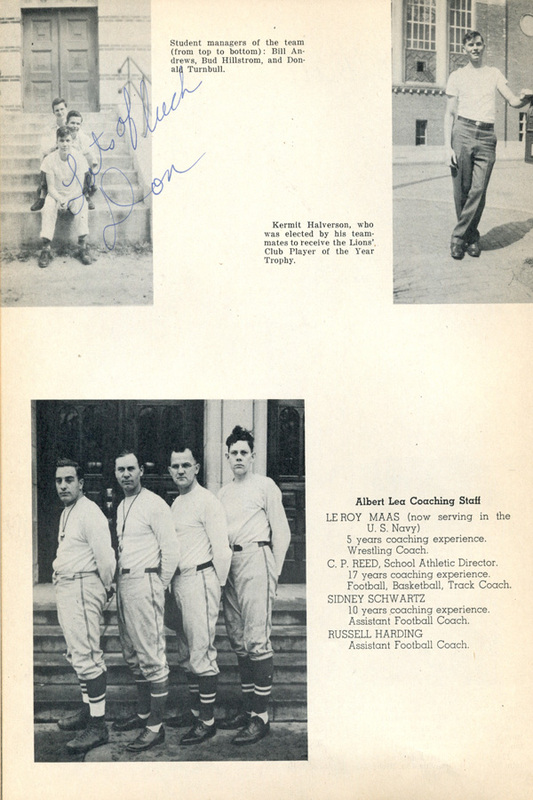 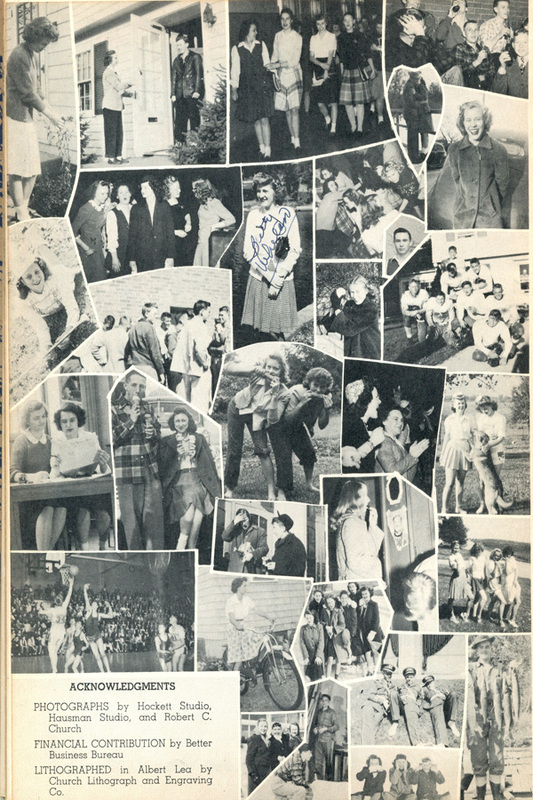 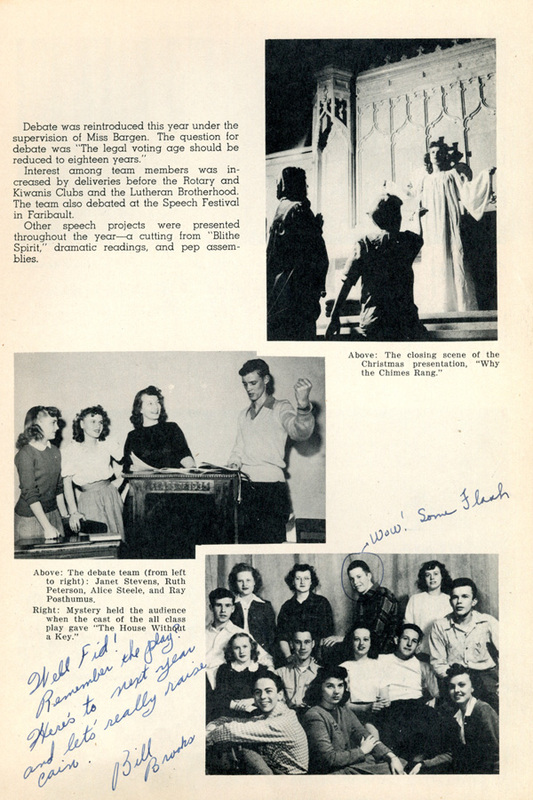 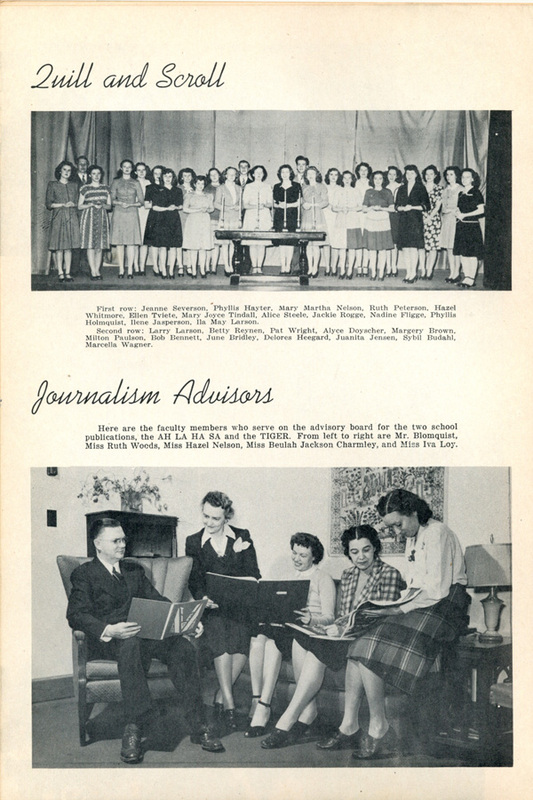 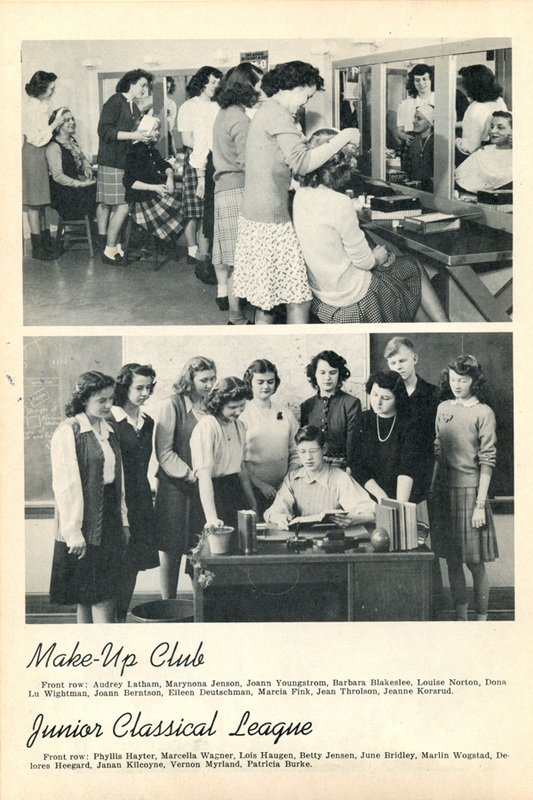 Students held war bond drives each week, and gathered supplies to donate boxes to the Red Cross. 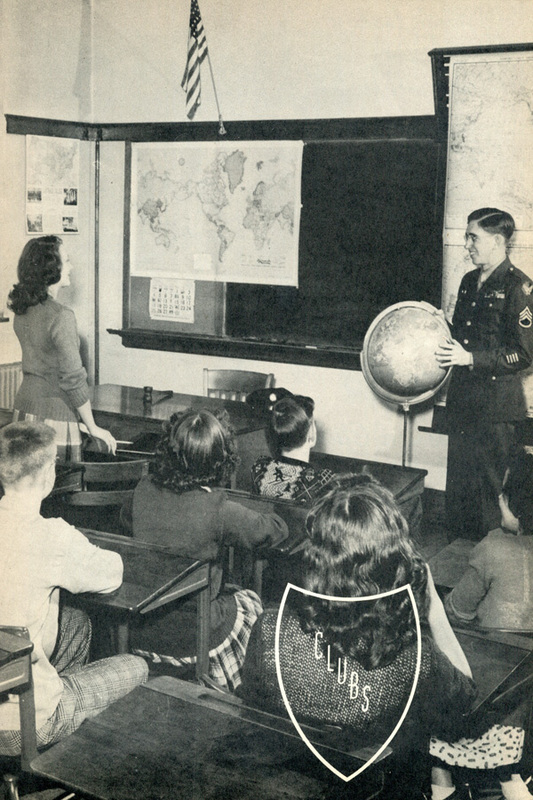 Additionally, many boys took part time jobs at the local post office during school holidays to assist in getting packages overseas. 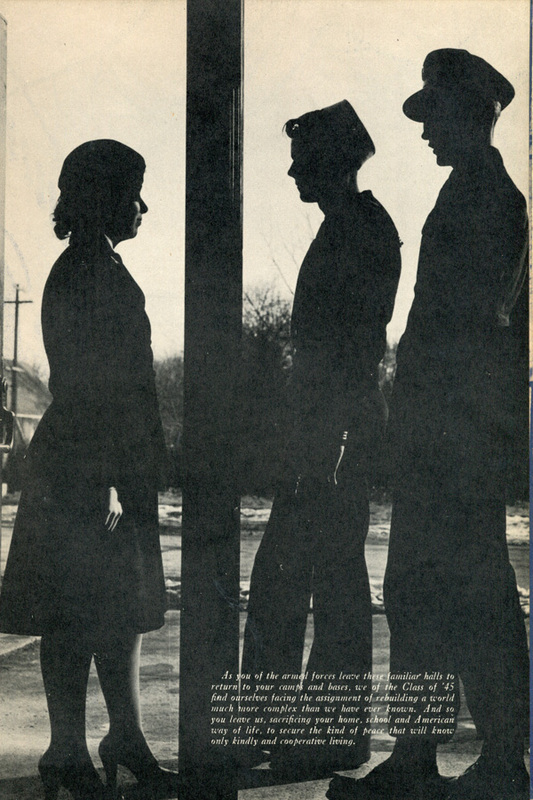 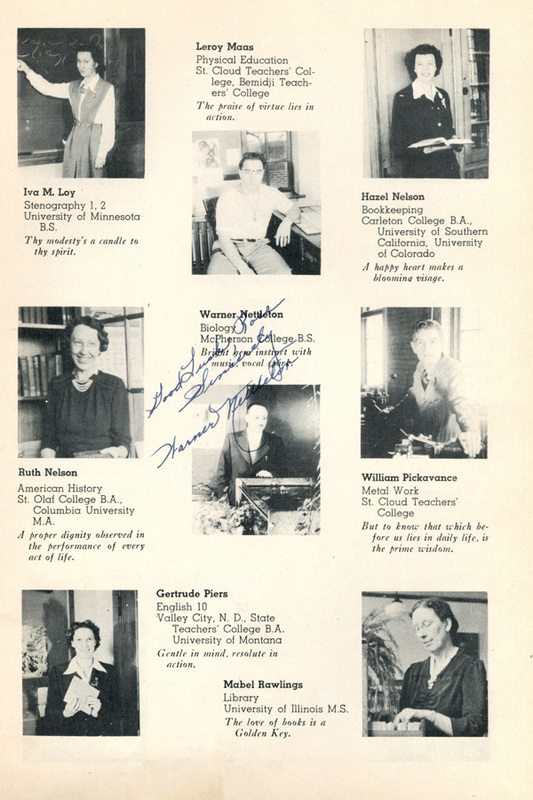 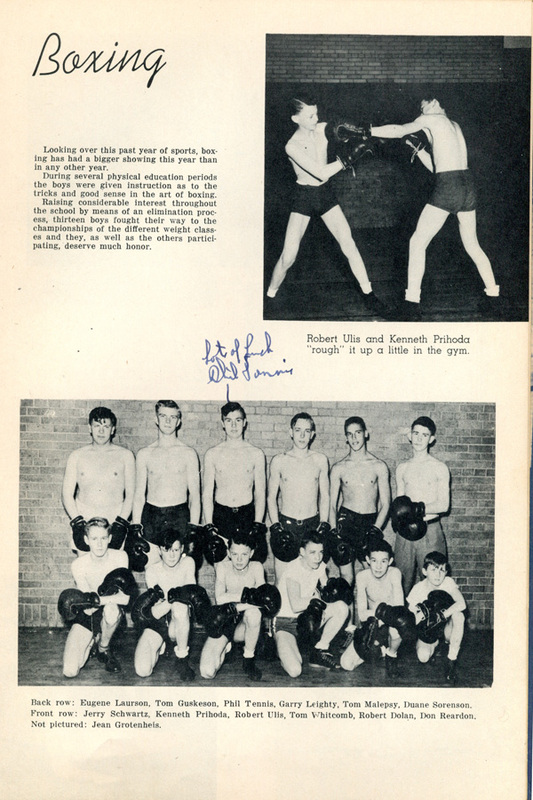 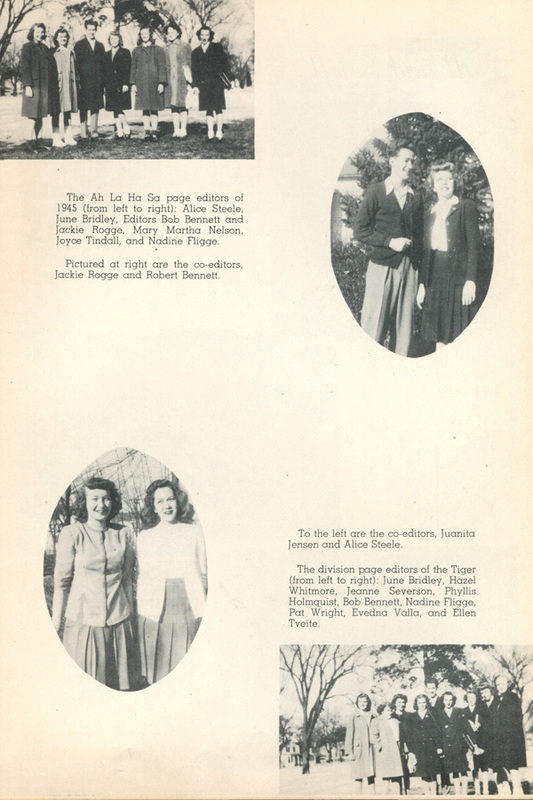 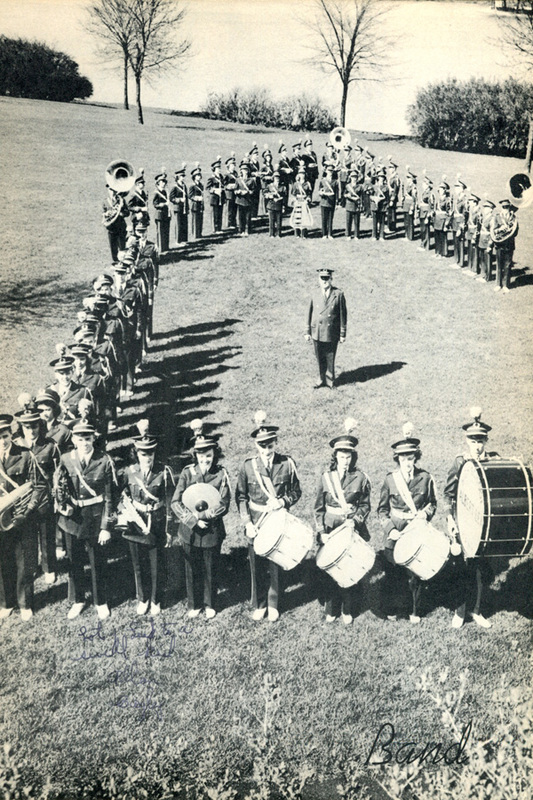 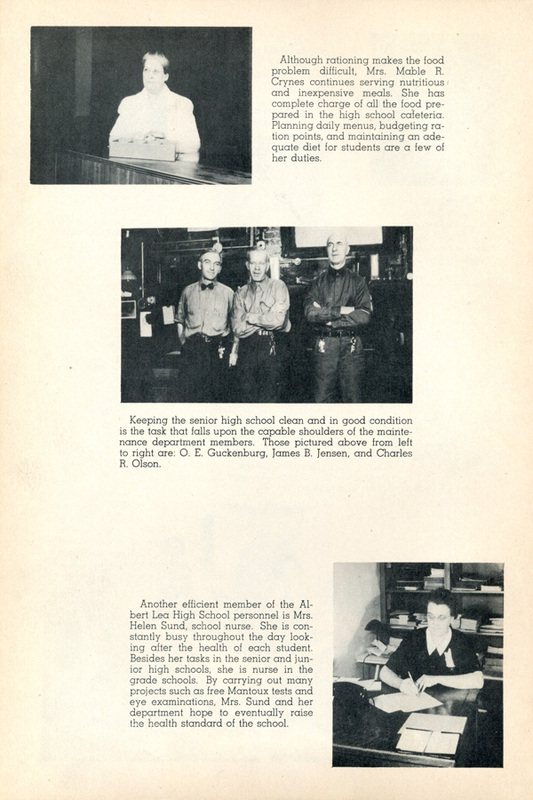 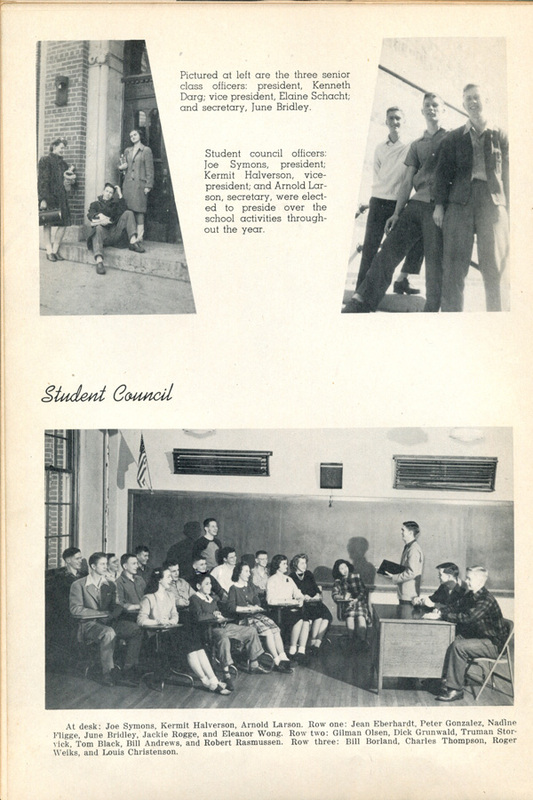 What else did the students at Albert Lea do to support the war? 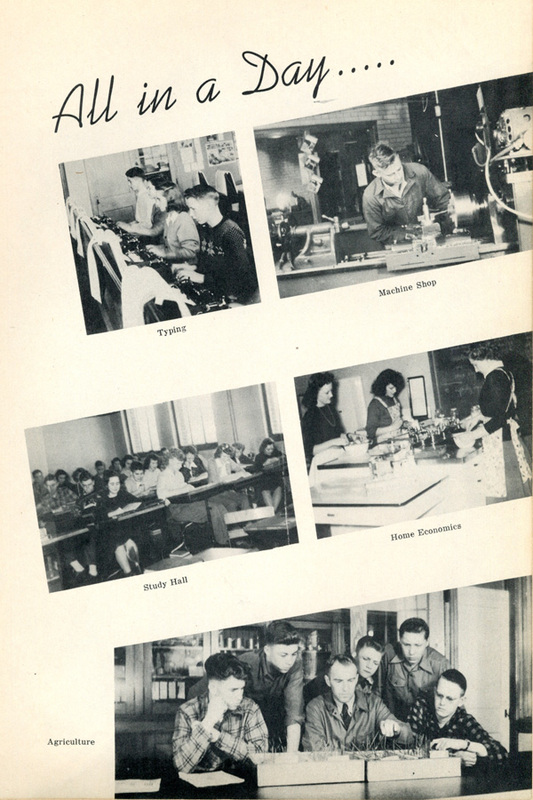 Do students today do anything similar?